Time to get rolling on another build thread. 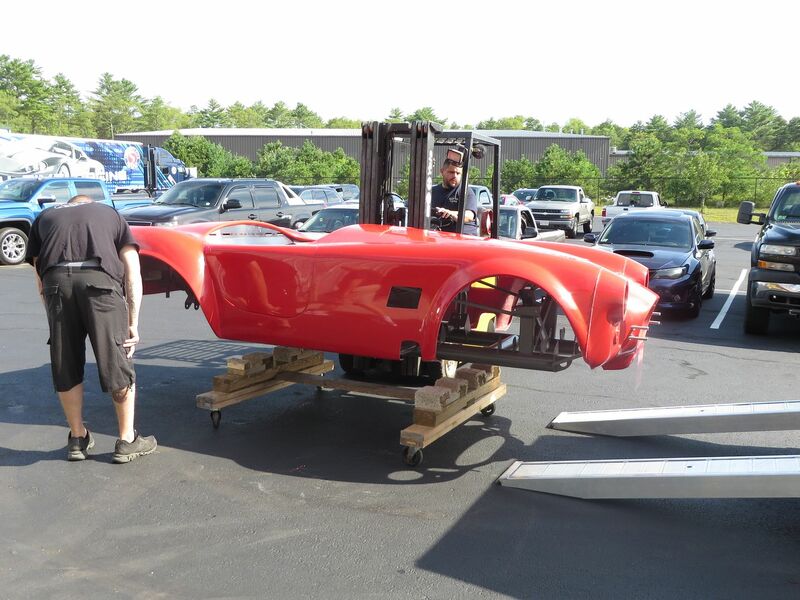 After a 1,680 mile round trip from Michigan to Wareham, as of August 6, 2015, Mk4 #8674 is now sitting in our garage. This is a 20th Anniversary Edition Mk4, number 03 of 20. This will be my third Roadster build, but a significant first. This is the first build where I am the original owner and taking delivery directly from Factory Five. 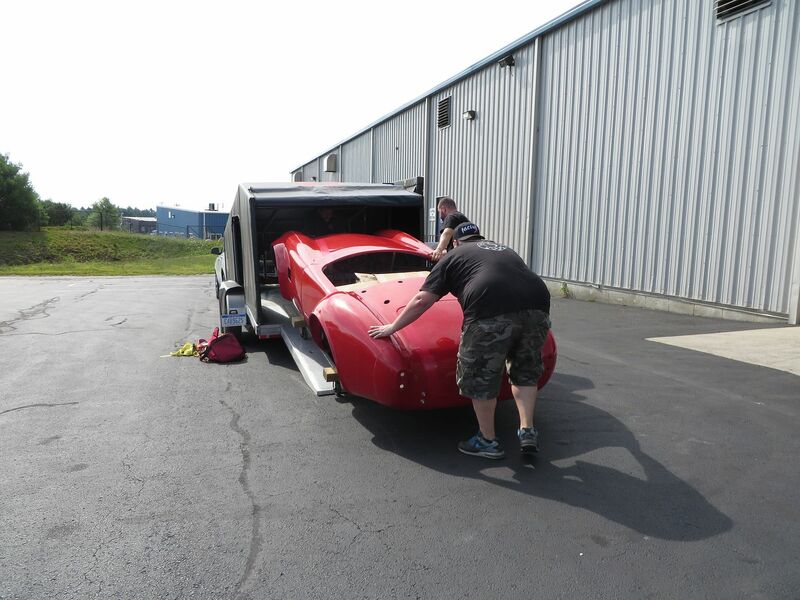 The first two were purchased from their first owners as partial builds. The Mk3 had a good head start by a pro builder, so a great introduction. The Mk4 was only several months started, so almost like a new build. But time to go it alone from the very beginning. Plus Michigan gave me a really tough time the last go around without my name on the Certificate of Origin. So not going there again. I thoroughly enjoy driving the completed Roadsters, going to car shows, and cruising whenever I get the chance. Absolutely a blast. The social aspect is great too, with our local club, the extended forum and Factory Five community, etc. But I also really enjoy the whole learning, planning and building process. Each time the builds were completed, I found myself missing the building. With my retirement earlier this year, it didn’t take long to realize another build was something I wanted to do. After some studying (and soul searching) decided it had to be another Roadster, and just to change it up a little spent quite a bit of time planning a 289 FIA build. I was ready to order one during the 50/50 sale several months ago. But then the 20th Anniversary Edition Mk4 was announced, and I was immediately hooked. 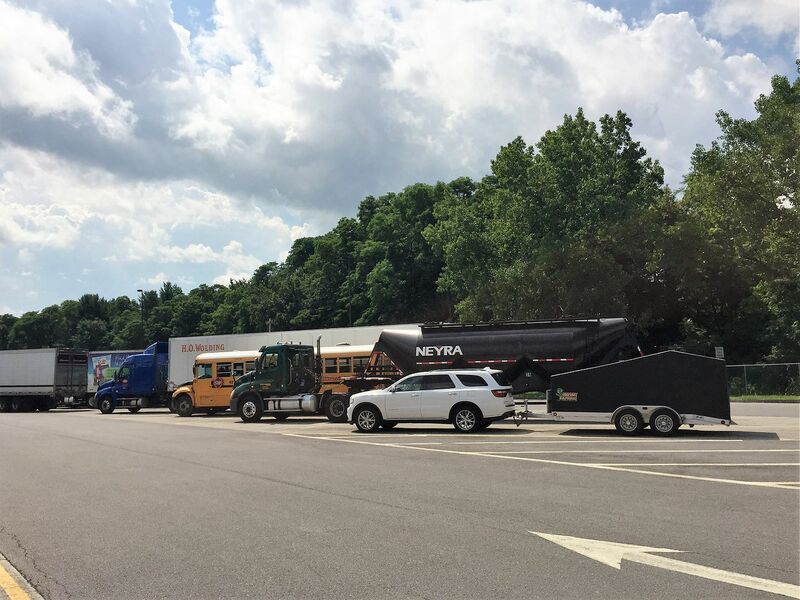 I called and ordered it while at a rest stop in New York on the way to this year’s Factory Five open house, just minutes after it was made available for purchase. The plan is to sell #7750 when the new build is completed. #7750 is in it's first driving season this year, and now all sorted out and truly a pleasure to own and drive. Frankly, I can’t imagine letting go of it. But that’s the deal, and I’m sticking to it. So let’s get down to the new non-donor build. The planned use is almost exclusively street cruising. The overall theme is a classic look and feel with completely modern mechanicals and premium driving. Because of the fully optioned anniversary edition, many aspects are already defined. 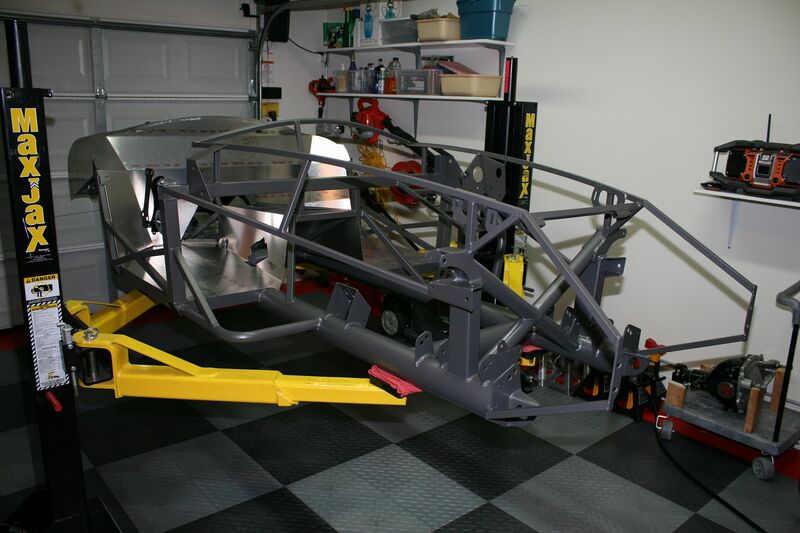 Some of the specifics: Grey powder coat chassis, white powder coat on underhood panels and footboxes (intended to simulate the fiberglass of the originals), balance will be grey powder coat to match the chassis. 2015 Mustang IRS with 3.55 cast iron center section, FFR front spindles, front and rear sway bars, 13 inch front and rear Wilwood manual brakes, Wilwood pedal box with hydraulic clutch, engine driven power steering with 3.0 turn rack, upgraded Koni double-adjustable shocks, 18 inch FF Halibrand style wheels, new Coyote engine with footbox mods to maximize space, Stainless headers, GAS-N side pipes, TKO600 trans with Liberty’s shift mods, leather Roadster seats, Lizard Skin insulation, competition dash (tentatively) with glovebox, Speedhut gauges with GPS speedo, seat heaters, Breeze front battery, dropped floor in trunk, wipers, bumpers and overriders. Undecided about a heater. Haven't done one yet, and haven't missed it. But maybe it's time. That’s probably enough for now. I’m planning a number of the little mods and touches learned from the first two builds, and maybe some new ones along the way. Notably absent will be a sound system. Spent a lot of time on that with my last build, and find it not very practical. One of my goals is to have a really clean Coyote installation. Not easy with all the wires and hoses. I’ve seen some really great examples. I’ll see how I can do. Color is still undecided. I’m kind of stuck on red, and could easily do that again. But looking at some other options as well. It will have stripes. I’m going to take my time. This isn’t a race. Plus even though I’m retired and have more time than before, I also have other things going on. I’m expecting a roughly two year build, like the first two. There are 19 items on the backorder list. Many are minor, and won’t hold anything up. A couple others (front spindles, IRS parts) I’ll be watching closely. I’ve completed my inventory. I had a few missing and wrong parts. But not bad and I’m expecting will be quickly addressed. Probably my biggest observation, and I won’t say much at this point, is that I think I might be one of the first people to tackle the new 2015 Mustang IRS. I saw it in person at the Open House, and it’s really impressive and I think will make a great build. But it’s early for FF too. I’ll report more about it in the build thread as progress is made. I do already have the center section, knuckles and hubs on hand and ready to install. 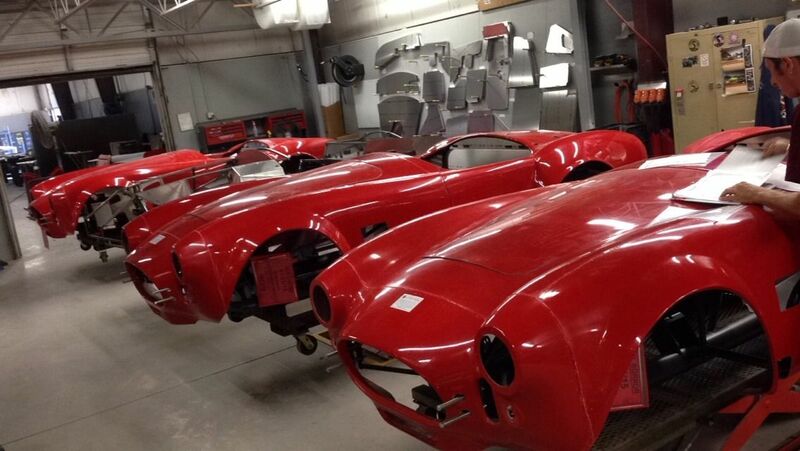 Talked about that in this thread: http://www.ffcars.com/forums/17-fact...so-begins.html. Going through everything, I'm generally pretty pleased. The windshield is now marked as made in Taiwan. The last two were from China. I wonder if they've changed vendors? It seems decent quality with everything nice and tight and clean. The new wheels are noticeably improved over the previous ones. The new tooling and new vendor has produced some nice parts. But those 18 inchers are huge! We'll see how that all turns out. 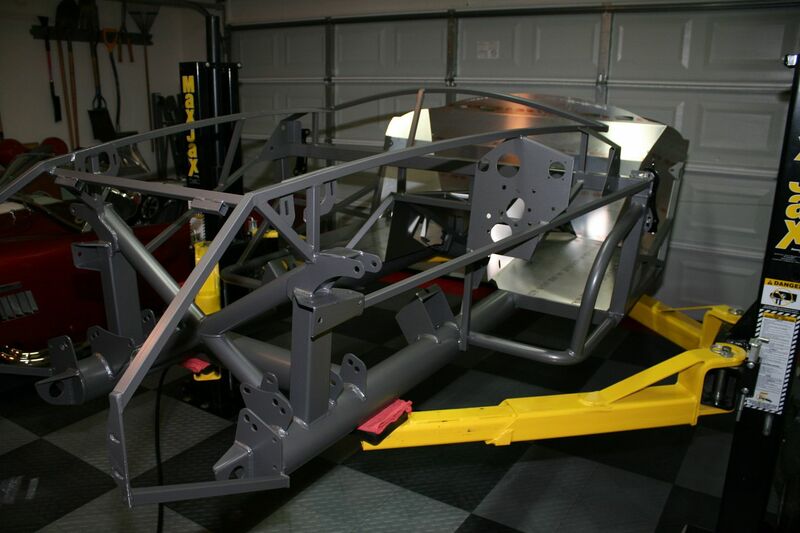 The chassis looks good. The grey powder coating isn't real glossy, but it's nice. It seems they may have done some extra work prepping it before PC. I don't see much weld spatter. At least in many of the obvious places. Having a whole box of white PC'd panels before doing any fitting or drilling is different. I'll need to take care of those. The body looks good. All the panels match up OK at the parting lines. The new front quick jack mount brackets are interesting. I'll still do my usual grommet installation, but now even more to hold things up. I've got the newer style front UCA's. In general, interesting to see how they continue to make interim improvements to the same version. All good I think. In the true spirit of no pictures it didn't happen, here are a few of pics of the delivery process. Last edited by edwardb; 10-22-2015 at 09:54 PM. 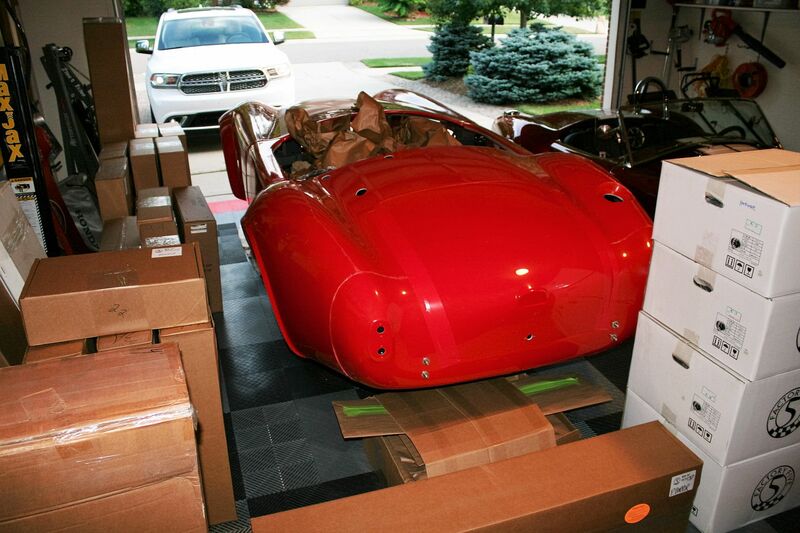 I’ll take the body off and start dis-assembly of the rest of the panels next week, in and around Woodward Dream Cruise activities. I’m going to store the body off-site this time around, rather than having it on an elevated buck like my last two builds. I won't miss the head bumping and sore back working under that thing. I’ll get the frame up on the 2-post and start plugging away. Stay tuned for much more! Last edited by edwardb; 08-08-2015 at 11:07 PM. I've been waiting for this post - I'm looking forward to following your build thread and the IRS updates! My production date is 8/22 so I'm not far behind. I've also got a question about what's included in the kit for the IRS (vent, bolts, bushings) but I'll ask it in your IRS thread to keep it all together. The first week has mainly been ongoing preparations for the build. I've heard back from FF regarding my backorder list and several missing or wrong parts. Dan assured me all were taken care of. I also heard they have now received some (all?) 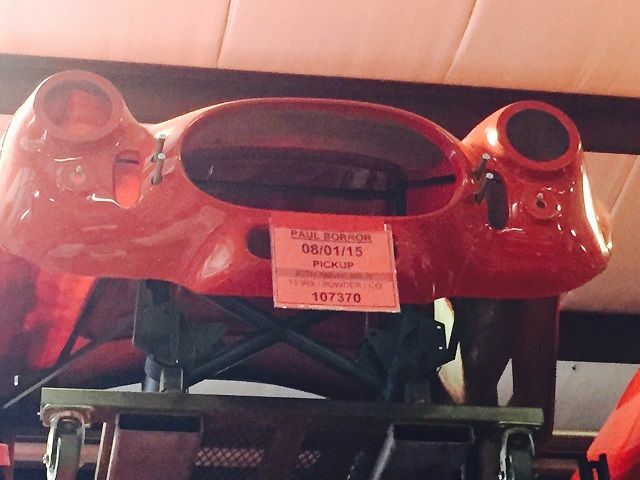 of the 2015 Mustang IRS parts. So now the waiting begins for boxes to show up on my front porch. It will be a little while before I run out of things to do, but I'll be happy to see all that stuff arrive. Meanwhile, first order of business was to get the body off, onto a body buck, and stored out of the way for now. The last two builds I put together quite elaborate elevated body bucks, then ended up cutting them down and giving them to the painters thinking I would never need another body buck. Oh really? So this time I tried to keep it real simple. I have a frame cart (visible in some of the earlier pictures) so I thought why not use that as a removable base for the body buck? Overkill, but double duty would be a good thing. So I made a real simple frame on 24 inch centers to rest on the frame cart, and then just hung everything off of the frame. I used 7/16 inch ply instead of OSB because it's much lighter (plus I had a piece laying around). 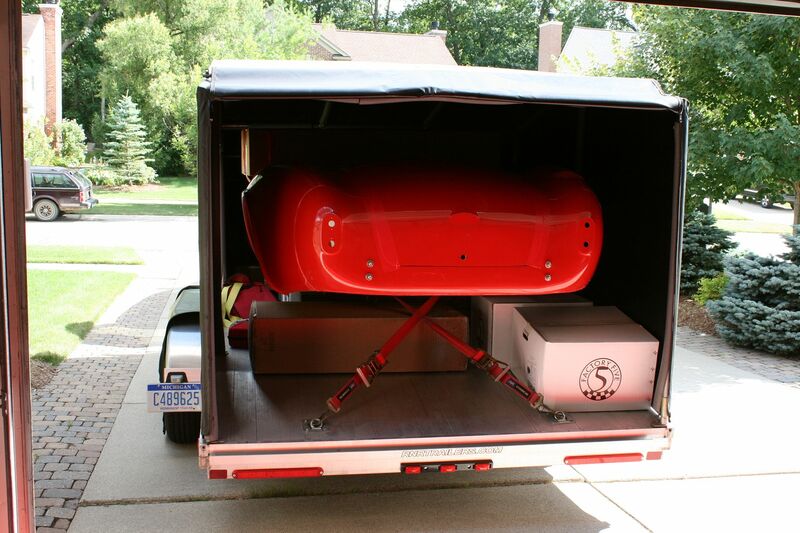 With the body buck done, used the SE to take the body over to our storage unit. I have it for our SE and also store the car there in the winter. There's enough height, so I hung the body/body buck in the back up against the ceiling. The SE still fits. Barely. One hint, while I'm thinking about it. There are a number of threads where guys are asking about their dash placement on the 3/4 inch dash hoop. Also about the clearance between the cockpit lip around the dash. I've been one of the advocates to actually temporarily place the body on the chassis during the build to get this all sorted out. With my body off-site, plus not the easiest to get up and down, I took the opportunity to check all that out while the body was still on from the initial delivery. I measured and made notes of exactly where the body is sitting in reference to the dash hoop. I also used a Sharpie and marked a line on the body lip 1/4 inch from the dash hoop. This gives me enough information to mount the dash with confidence, and also for the initial trim on the body during final assembly. I suspect the body will be in a slightly different position (mainly height) with all the aluminum and bulb seal in place, but this is still good enough to get me started. With the body up and out of the way, I got the frame up on the 2-post. This is my first build from the start with the 2-post. I'm going to like this! Now for some pics. Taking the body off for the first time, using my hi-tech ceiling hooks and pullies. What can I say? It works. Hung from the ceiling at our storage unit. For peace of mind, as an afterthought I added some 2x4 braces to the floor. Almost for sure not needed, but will help me sleep at night. You can see what's left of the 2015 Mustang IRS pallet. Hope there's some Craigslist/eBay value there. In the true spirit of all good projects deserve a little spilled blood, I had a bit of an incident yesterday. I was working hard and fast trying to get the buck done and then away for the evening at a Woodward Dream Cruise event. In the process, I was working inside the body with it on the buck. I stepped out going to the next thing and managed to catch my foot on the door sill. While trying to catch myself and thinking "Don't break the body…" I proceeded to face plant myself right onto the steel door sill of the frame sitting next to the body. A really hard hit and scared myself to say the least. I immediately went for the ice and surveyed the damage. Man was I lucky. Got myself in the cheekbone and gave myself a bloody nose. But no teeth, eyes, nose, whatever. This morning I woke up plenty sore and with a beautiful black eye. And no there won't be any pictures. Moral of the story, we all really need to be careful and go at the right pace and stop when we get tired. I was lucky this time. OK, enough of that. Next update will be installing the front suspension and steering rack. I don't have the spindles yet, so can't be a complete job. But I'll get started. First step will be installing the first pieces of aluminum, the F-panels. First sighting for those white powder coated pieces. I've got some white painted rivets and will try those. Last edited by edwardb; 08-14-2015 at 06:03 AM. Wow Paul I'm so jealous. I shoulda' pulled the trigger. It's a great kit loaded to the hilt and then some. I really like the new wheels with the milled outer radius. The special-edition gauges alone are a great add. And man, that IRS is STOUT. Wilwoods too? As part of the kit?? Sha-weet! Can't wait to watch you create/re-create those finishing touches that got you best overall at the Open House. Your last is your best and I can't wait to see what you come up with this time. Thanks for the kind words David! Yea, it's a sweet kit. I can't wait to see how it turns out either! But then I enjoy the process too much, so don't want to be in too big of a hurry. Time for my first real assembly progress update. You guys asked for details, so you're going to get it. Next I hung the lower control arms. Nothing much to say there. Once the PC was cleaned out of the holes, they bolted up fine. Note that I put a little red dot from a paint pen on all bolts that are tightened to the torque spec. Just a visual reminder to make sure I do them all. 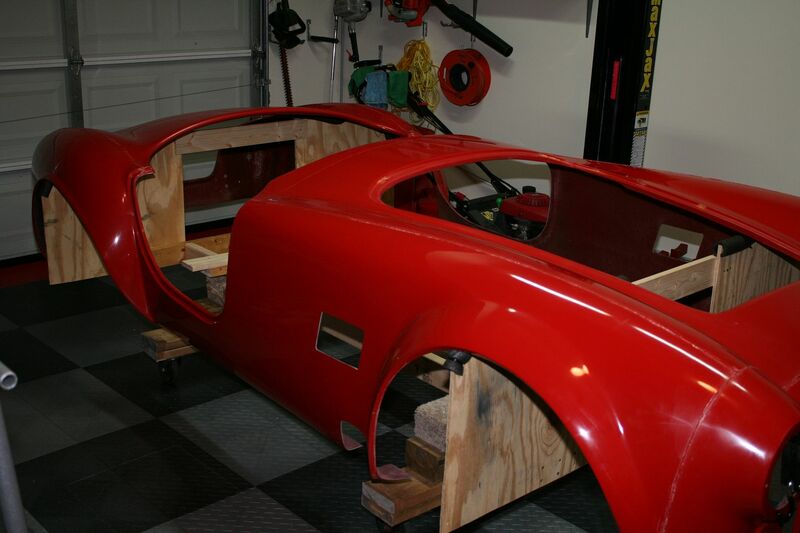 Once the build is done, the paint can be easily removed with a little lacquer thinner if needed. 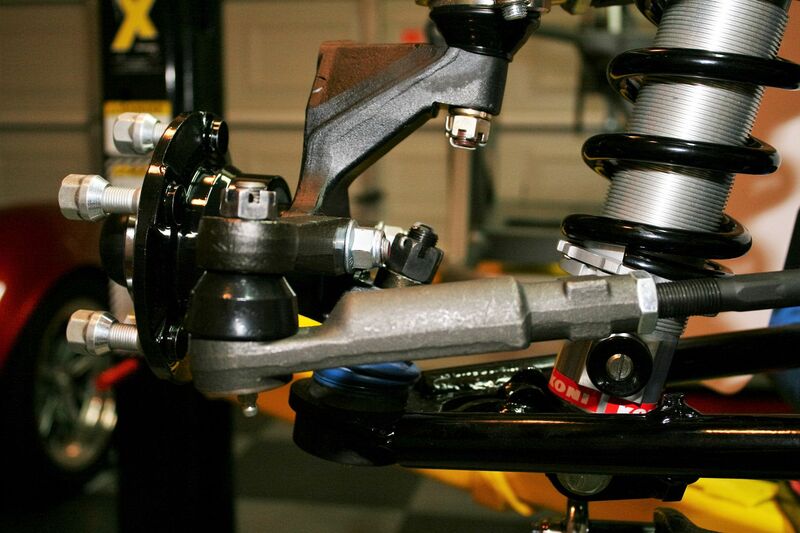 Then I put in the Breeze PS rack, the upper control arms with ball joints, and then the Koni shocks. The shock bolts are just finger tight for now. I figure I'll move them out of the way when it's time to bolt in the spindles. This is another pic of the Breeze PS rack. Nothing too earthshaking here. But a couple words. I used this same 3.0 turn Unisteer rack on my current Mk4, and for my purposes (mostly street driving) it's perfect. Since I bought and installed the last one, Mark at Breeze now provides them in PC black vs. silver, and also provides them with the rack extenders and extended boots already installed. Nice. He also includes a pair of limiters, in case you need them. I'll wait on those for now to see if I need them. I installed the rack with Mark's #70634 offset rack mounting kit, which I've used a couple times before. Centering for a Mk4 is not a big issue. This one was perfect, like my last Mk4. 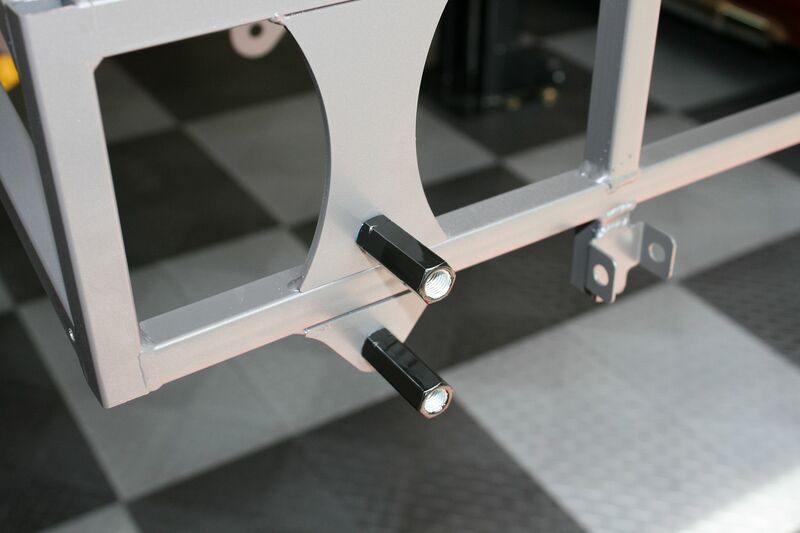 But the bushings, in addition to being solid vs. slightly flexible, move the rack slightly forward and slightly down. Forward is good because it helps the boots clear the chassis a little better. Down supposedly helps with bump steer, although with the newer geometry of the Mk4 and FF spindles, I'm not sure that's a big deal any more. Also in this pic you can see the -6AN adapters for the PS hoses. Those are from Maximum Motorsports. So I've had two issues so far. One was the upper ball joints. I received (like many) the Mevotech upper ball joints with my kit. And like many, they were too tight. No amount of freezing and heating did anything other than get a questioning look from my wife when I took the ball joints out of the freezer. I couldn't get more than 1-2 turns before they basically locked solid and I just wasn't going to crank on them like many have. I'm sure FF would have replaced them, but probably with more of the same. Like many, I decided to just spend the $17 each and change to Moog K772's. Well, we're having fun now. I received two very quickly from Amazon (best price) and one fit both sides perfectly, the other wouldn't even start threading. No amount of messing around changed anything. So I returned it and had a replacement a couple days later. Guess what? Same thing. Two out of three Moog parts wouldn't work. Note the one good one fit either UCA perfectly. The other two neither. OK, now I'm really frustrated. 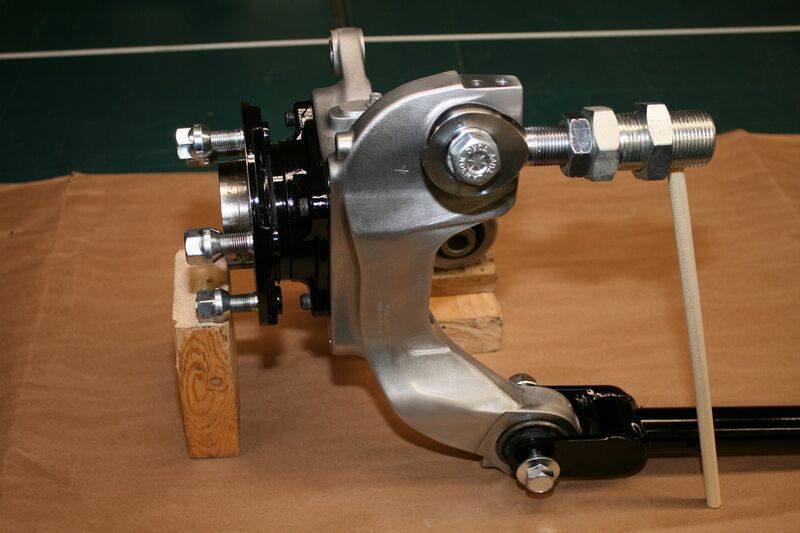 Read multiple forum posts, both ours and others, and found many guys are using Howe Racing ball joints. Yea, I know, now $60+ each. Budget? What budget? But how much is frustration worth? Received the Howe Racing 22320S ball joints this AM from Summit. Both fit perfectly. Used blue Loctite, and gave them a hefty tug while in the vise, same as shown in the manual. Then put a red paint mark that I'll keep an eye on. I'm confident they're not going anywhere though. In addition to being obviously high quality parts, they are serviceable and rebuildable. Last edited by edwardb; 12-06-2015 at 02:26 PM. 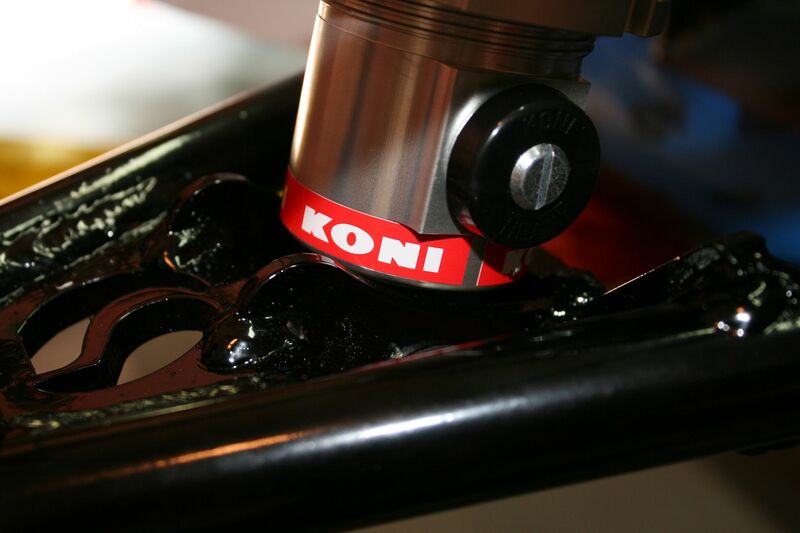 The second issue was with the Koni 2812 double-adjustable aluminum body coil-over shocks. 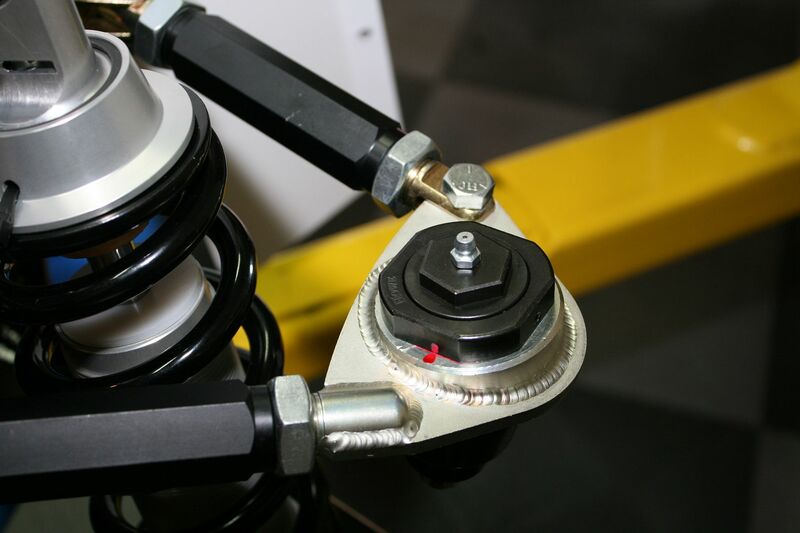 The manual says to install the standard Koni front shocks body UP. But the Koni instructions for these shocks quite emphatically says they are to be installed body DOWN. Something about the special valving in this shock type only functions correctly when installed down. 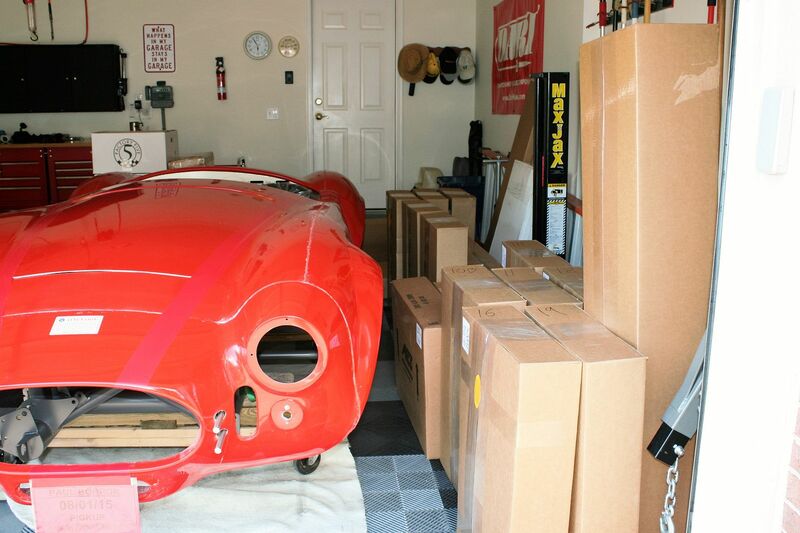 And Factory Five does have them installed body down in their 20th Anniversary Roadster. So that's what I did. But I then realized the body interfered slightly with the LCA. In fact, if you look closely at the pics FF has on their website of their 20th Anniversary Roadster, you can see divots in the shock body from the interference. I decided not to duplicate this feature. Using a cut-off wheel and then a small air belt sander, I removed the interference from the two sides and back and confirmed clearance with the shock at full extension and compression. It's not a lot, so I'm confident the strength of the LCA is not affected. Here are three pics. Before, after trimming, and then with the shock back in place. Before assembling, I touched up the bare metal with gloss black POR15, which matches the black PC perfectly. 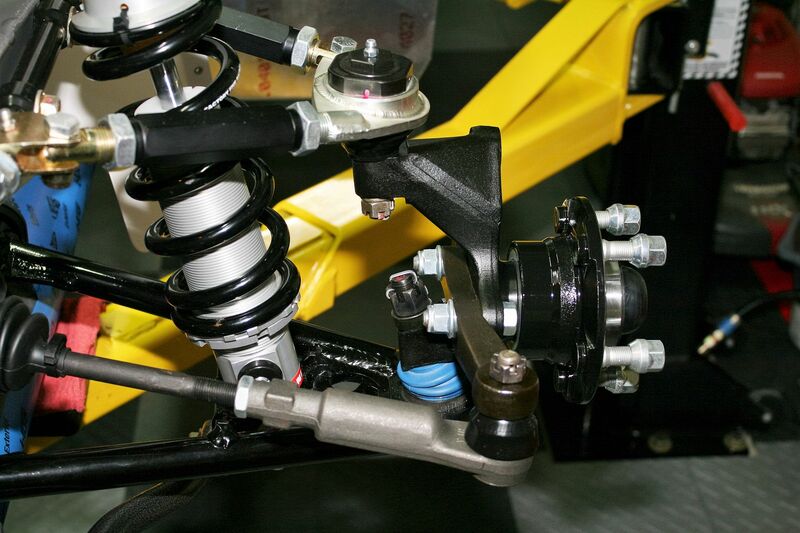 The outer tie rod ends supplied with the kit are absolutely fine, and will work perfectly. But I happen to like these Moog ES2150RL parts instead. 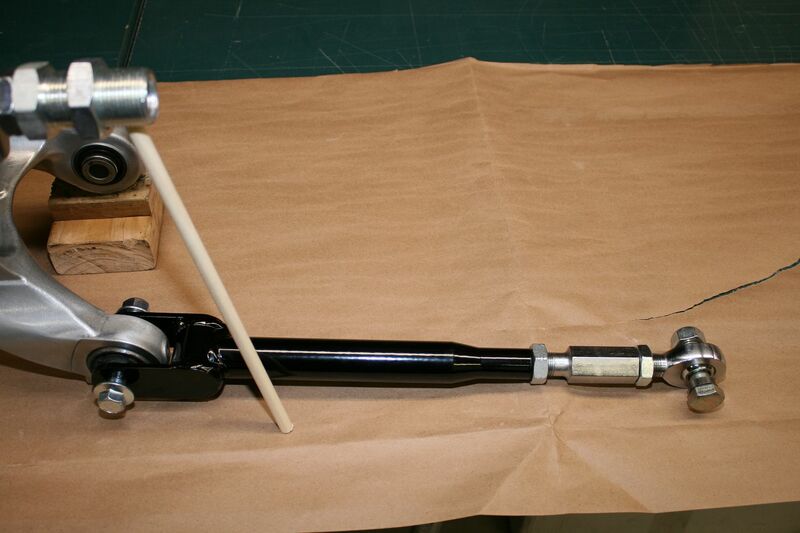 In addition to maybe slightly higher quality, it's very likely not necessary to cut length off the inner tie rod. I used this same rack and these ends on my current Mk4, and no trimming was necessary. Also, because of the design, the threads are fully engaged and the excess goes into the pocket of the piece. No need to watch for the minimum one inch of thread engagement. I don't like changing out perfectly good parts. But these are nice and I chose them again. 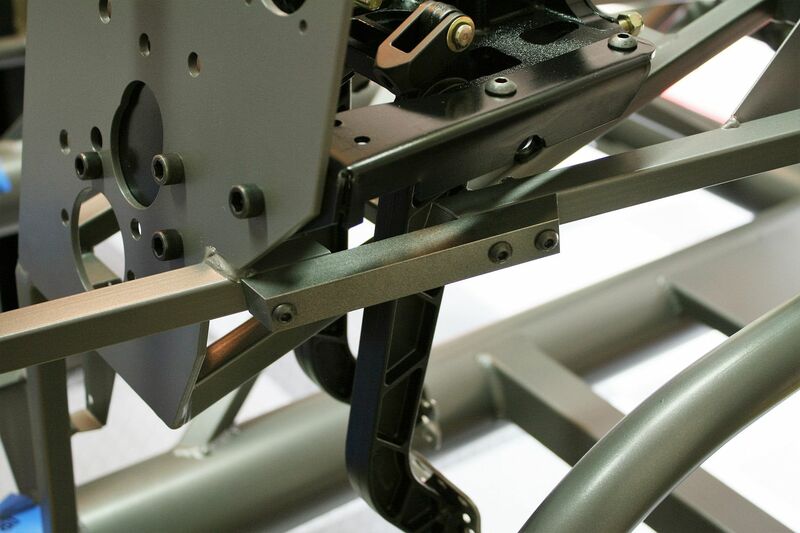 I wonder if these attachment points will be standard on all Mk4 kits now? 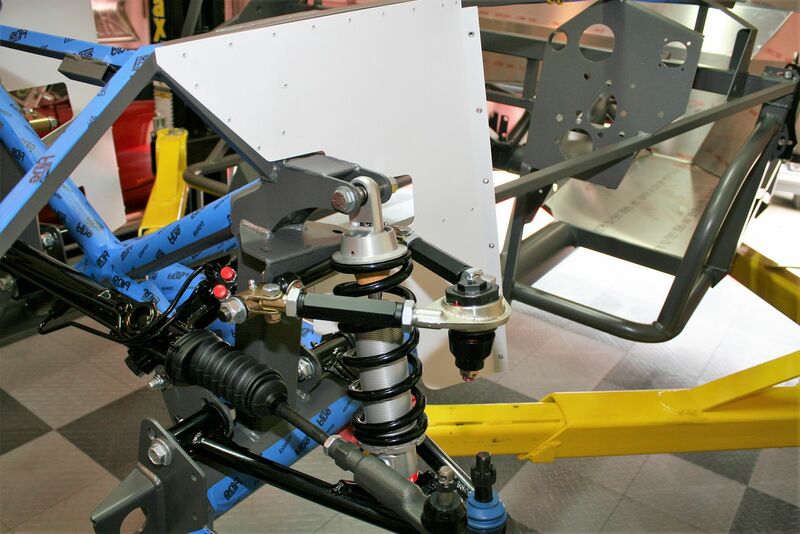 If so, nice improvement for guys that want to add a sway bar and not have to do some of the mods I've seen. I received two of the pictured sway bars. They are .875 inch, from a company called Flyin Miata. For 90-93 Miatas. Is that allowed?? I have some of the pieces, but not all for where it attaches to the LCA. There are rod ends and then a bracket of some kind. More later! I'm still waiting for backordered parts (no shipments yet…) and especially some of the major missing IRS components. I've got plenty of other things to work on for now, so no panic. Yet. Last edited by edwardb; 08-18-2015 at 03:48 PM. Wow! that is some setup! Very Jealous. Can't wait to see this one! Haven't seen that swaybar setup yet but it's very cool. Should help a ton. I want pictures of it cornering. For me I'm sticking with the period correct, classic wheelie stance which was popular at the time. Good luck and don't worry about the backorders, it's when you get your backorder and it's wrong! LOL. Seriously though I've had some serious discussions with the crew over there QC is their next big endeavor. 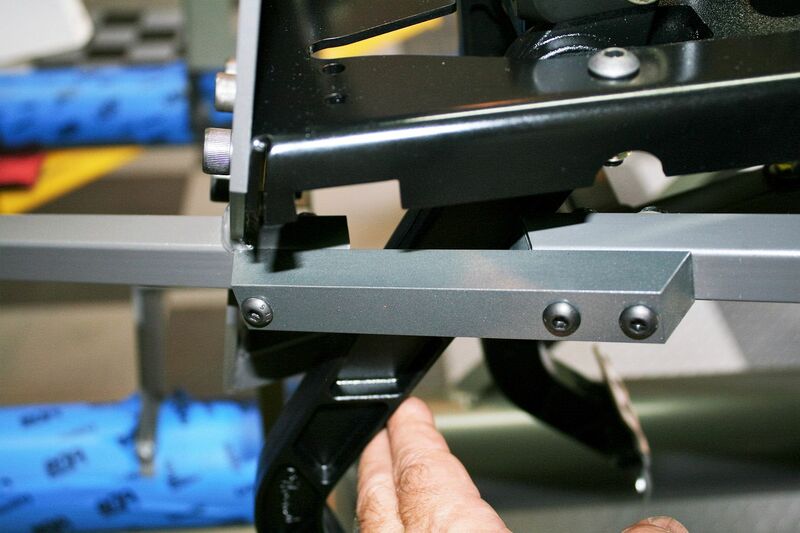 The installation instructions for the IRS and Sway bar are now available. I am sending them to your email address. Bob -- Got 'em! Huge thanks. I finally got around to reading the entire thread ... WOW is the word that best describes all of this beautiful work. With respect to the installation of the Breeze solid bushings ... Did you have grind off any part of the mounts mentioned in his instructions? Again thanks for the detail you provide us guys building our first one of these. You're certainly welcome. Fun to share, and always happy to hear it's appreciated. For the Breeze bushings -- no, didn't have to do any trimming as described in the instructions. Didn't have to trim anything on the previous Mk4 either. I guess things have changed since those were written. Quick follow-up on these points since I received a copy of the instructions. 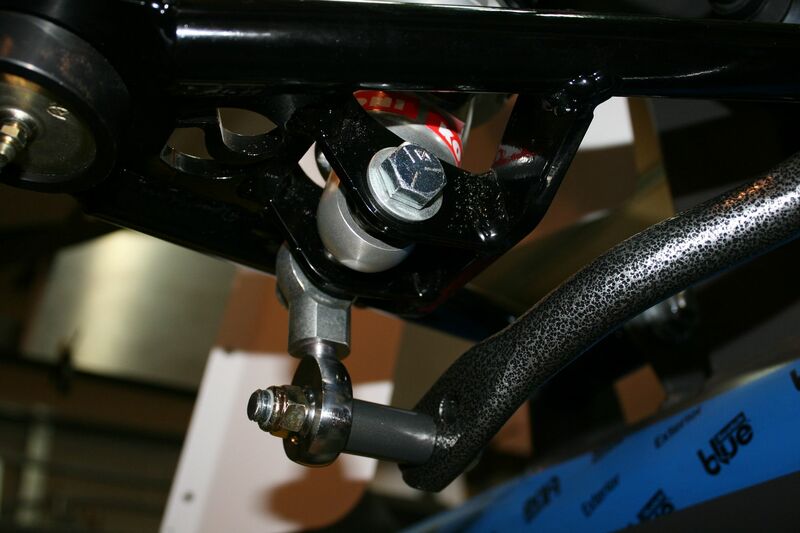 According to the instructions, all kits made after April 2015 have the pictured sway bar attachments points on the front of the 4 inch chassis tubes. Brackets are available for kits made before that. 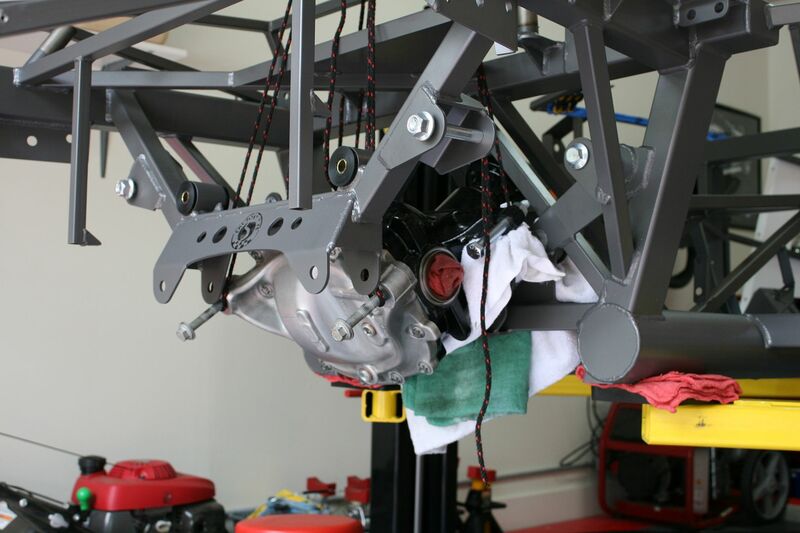 The attachment to the underside of the LCA's is done with rod ends attached to a longer lower shock mounting bolt. Pretty straightforward. Removed the parts I needed. I'm hoping to sell the balance and recover some of the cost. In total, should be a pretty good deal. 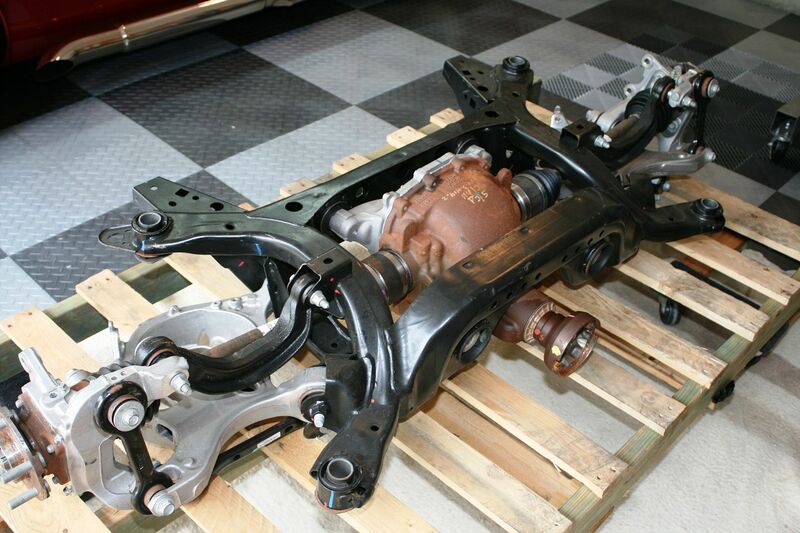 The 3.55 center section case is cast iron, and posi like all new Mustang diffs. The cast iron center section had some surface rust. Not unexpected. The hubs too had a little surface rust. But the parts appeared to be exactly as advertised. Basically brand new parts. A little wire wheel action and the rust was removed off the cast iron. After thorough cleaning and degreasing, applied some POR15 to the iron and clear Dupli-Color engine spray to the rear aluminum cover. Now ready for installation. The knuckles require a piece of one of the arms to be cut off. I saw this in the pictures and write-up, but waited until the instructions were in hand giving the details. The instructions give the location and shows using a Sawzall. I don't own one, plus prefer a little more "civilized" approach. With some blocks clamped to hold the knuckles square, I cut them with a band saw. Took it slow and easy and worked fine. A little scary though, lopping off those pieces. Cleaned up the cut using a disk sander, and then filed and sanded a little radius. I went over the complete knuckles and knocked off some of the larger casting parting lines and just cleaned up in general, and then gave them a quick coat of clear Duplic-Color like the center section. Not required at all, but I've had good luck with this stuff and should stay looking clean and nice for a while. I think they're good to go. The standard Mustang wheel wheel studs need to be changed to 1/2 x 20, same as the supplied front hubs and matching the lug nuts provided with the FF wheels. The 10 new wheel studs are included with the kit. The instructions show hitting the old ones out with a hammer. I chose instead to use a short piece of black pipe and squeeze them out using my bench vise. Took some muscle, but worked OK. The instructions showed putting the new ones back in with a lug nut, washer and a ratchet. I'm apparently not strong enough because that didn't work for me. Mainly I think because it's impossible to hold the hub while putting that much torque on it. So I rummaged through my junk hardware drawer and found a hardened 1/2 x 20 nut and few hardened washers. Lubed them up good with some assembly lube, and pulled all the studs in with an air impact driver. A press would be ideal to remove and replace the wheel studs, and thought maybe I had an excuse to finally buy one. But no luck. Managed without it. 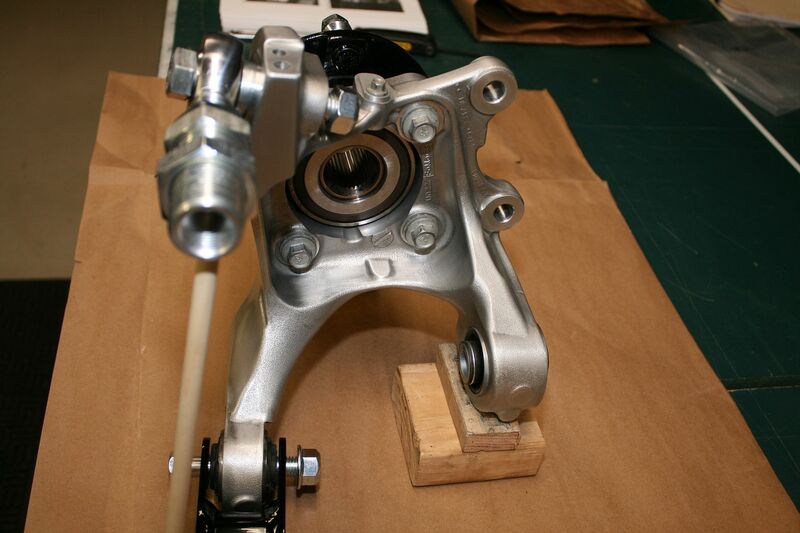 Then cleaned up the exposed parts of the hubs and also applied some POR15 and put them back in the knuckles. Note this is one of many changes with the new IRS parts. 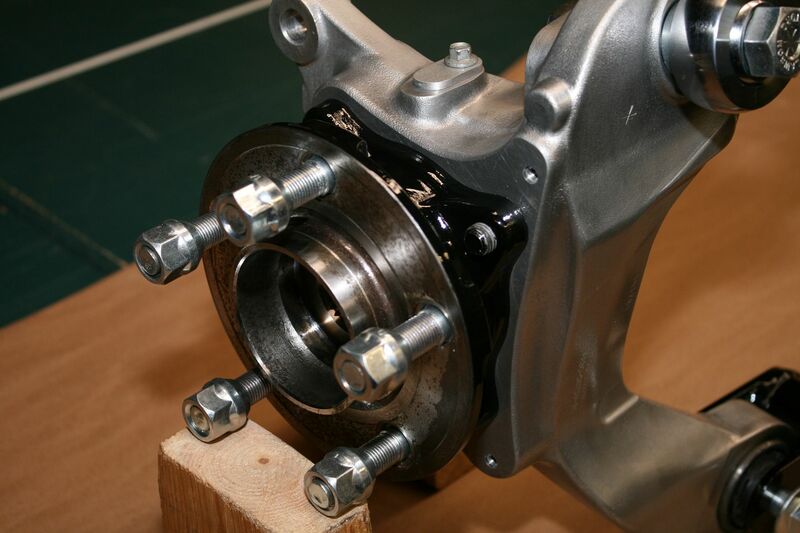 The axle bearing is in a bolted in carrier. 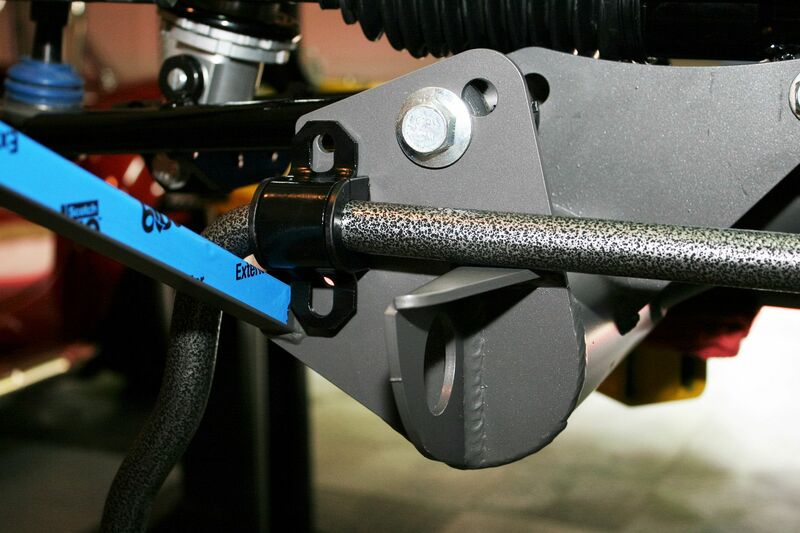 No longer necessary to press the axle bearings in and out of the aluminum knuckle itself. Also note the little cover and screw in the knuckle just above the hub. This is where the standard ABS sensor is normally mounted. I'm not going to try an ABS installation, so don't need the sensor. But didn't want to leave an open hole directly down into the axle bearings. So made a little cover out of 1/8 inch aluminum and used the sensor mounting screw to hold it in place. Last edited by edwardb; 05-31-2016 at 05:57 AM. So in yesterday's shipment, I received the IRS toe arms. That with the hardware already received this is starting to shape up. Here is the PS knuckle with the toe arm attached at the bottom, and the hardware for the upper control arm temporarily attached to the now trimmed arm. Here is the complete toe arm. 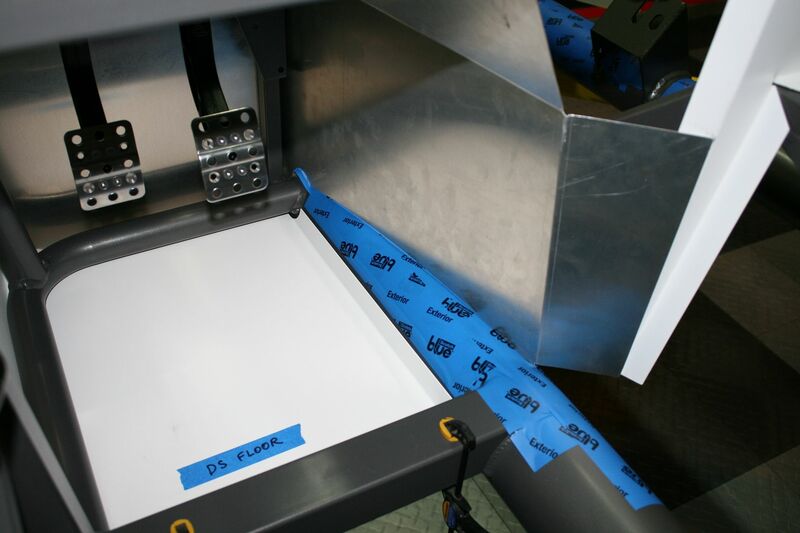 Note how the setup will allow adjustments without disassembly. 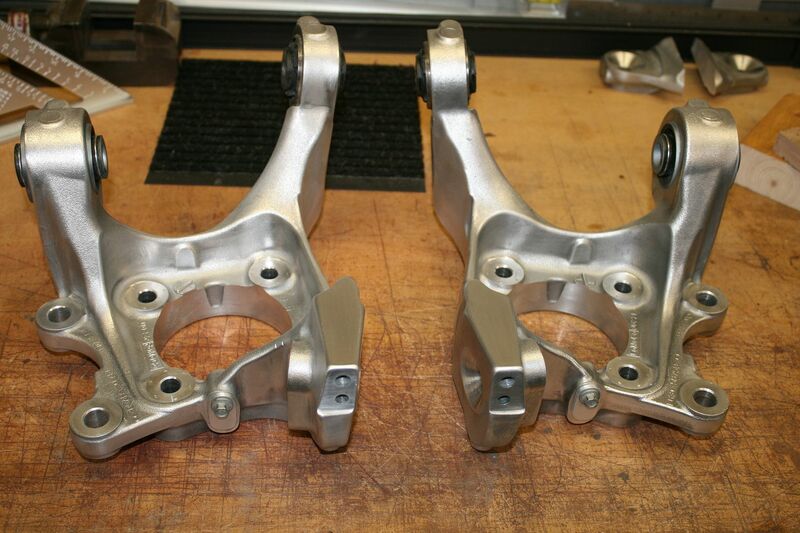 For the toe arm and upper control arm. Nice. The lower control arm is fixed BTW. 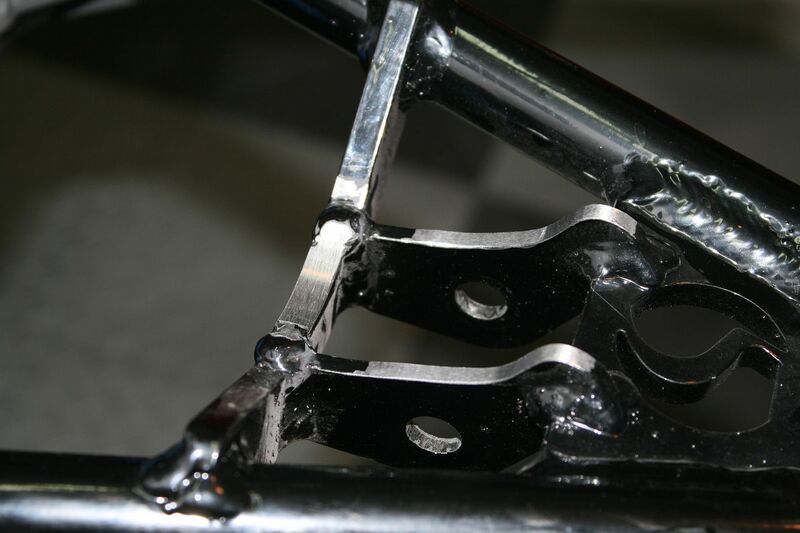 Last shot of the PS knuckle, showing all three attachment points. 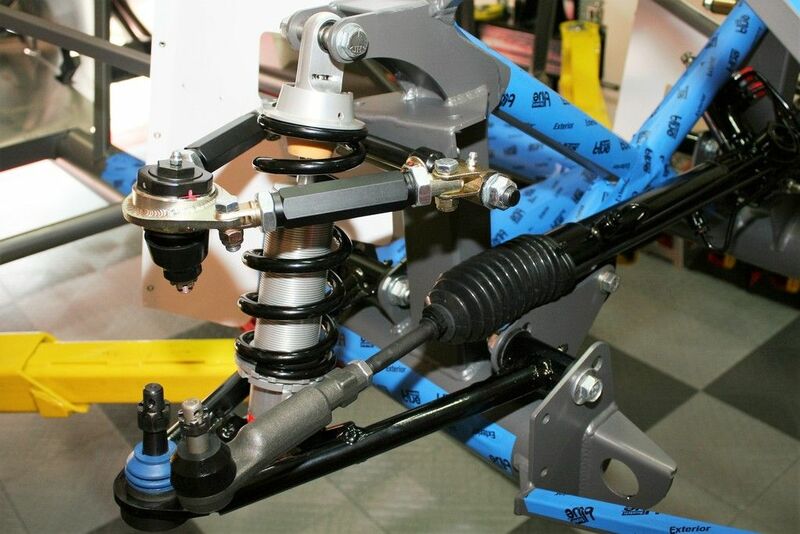 The lower control arm attaches to the shorter leg, which is also the same location the coilover attaches. Someone asked in my previous thread about the IRS whether the Ford installed bushings in the two lower arms would be used. Apparently the answer is yes. No new parts received and no instructions to remove existing. Good thing, because they look pretty solidly installed. 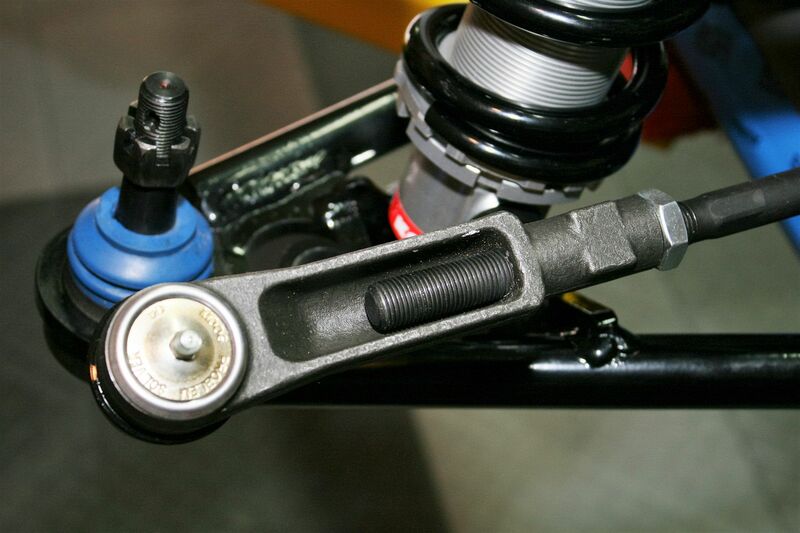 The upper control arm location is bolted in as shown, with the provided rod end. Nothing to remove or add there either. Hopefully the next pics will be with all this installed, once I receive the arms and the last pieces of hardware. Meanwhile, still plenty to work on. 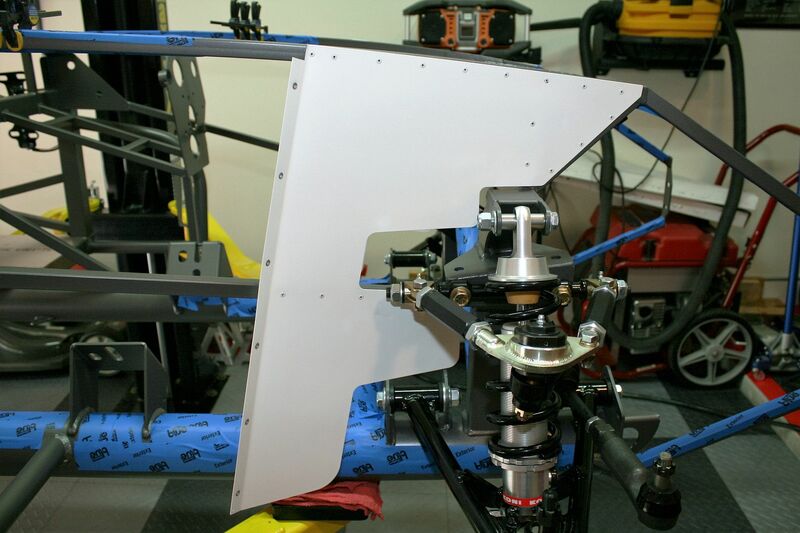 Work is underway on the Wilwood pedal box, and yes, we still have the famous clutch arm frame interference. Will probably do the same mod as the previous Mk4. Last edited by edwardb; 08-23-2015 at 11:22 AM. VERY impressive - This is extremely helpful information and very much appreciated! What did you use for the general cleanup of the aluminum knuckles? Last edited by RRussellTx; 08-23-2015 at 12:31 PM. Thanks and you're welcome. Some files to knock off the parting lines, then just a couple different light wire wheels in a hand drill, some emery cloth, and then some Scotch-Brite pads. I've seen some really nice results guys have done on the previous style knuckles with media or bead blasting and even clear powder coat. But I kept it simple with stuff I had around the house. Nothing very fancy and certainly optional. Last edited by edwardb; 08-23-2015 at 01:20 PM. Love seeing the progress your making on your build. I just picked up my kit last weekend. I also picked up the IRS center and spindles from FF while I was there, saved the shipping costs. FF is starting to supply them also. I have not seen them in the parts catalog yet, but if you ask, you can get. the IRS center I received is also aluminum, not cast iron. I know the IRS manual says to use the cast unit only but they assured me it was just because the flange adapter hadn't been designed at the time. Build 1: MkIV Roadster #8675. 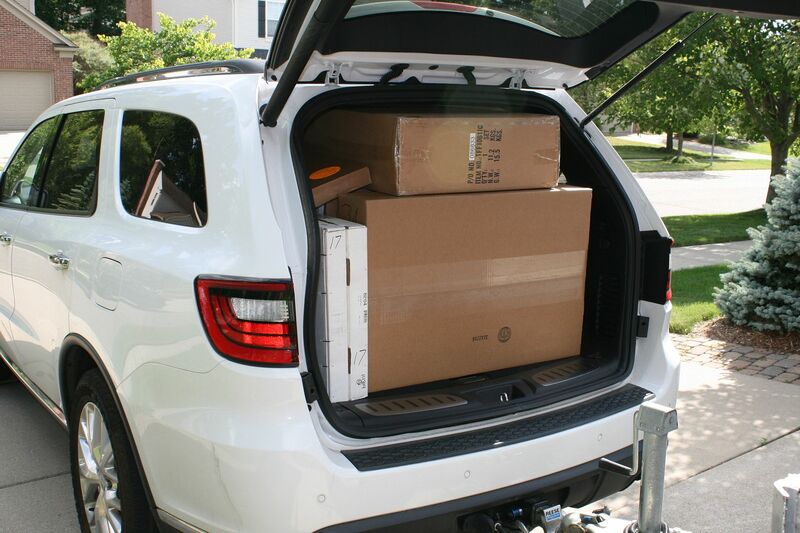 Deliv: 8/15/2015. Russ Thompson: Turn signal Assembly, Trunk Box Mod. 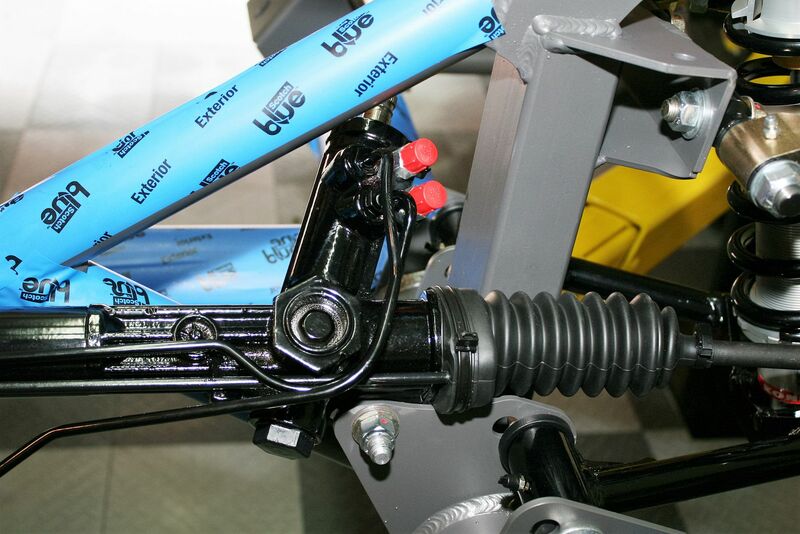 Breeze: SS Roll Bars(2), Power Steering rack, and much more. Love seeing the progress your making on your build. I just picked up my kit last weekend. I also picked up the IRS center and spindles from FF while I was there, saved the shipping costs. FF is starting to supply them also. I have not seen them in the parts catalog yet, but if you ask, you can get. The IRS center I received is also aluminum, not cast iron. I know the IRS manual says to use the cast unit only but they assured me it was just because the flange adapter hadn't been designed at the time. Congratulations on your new kit! #8675, next in line after mine. Also a 20th Anniversary Edition? Yea I knew FF is offering the IRS parts. They offered me a set as well, but happened after I had shopped around and found them on my own. They actually bought out the supply of the zero mile take-offs from the same place I got mine. I wonder if that's what they're still offering? I also knew they said a aluminum center was OK, and I would have taken it if available, but the only 3.55 available at the time was the cast iron version. They are definitely stronger, which is why Ford is only putting aluminum in automatic Mustangs, and cast iron in sticks. But for our purposes, given the much lighter weight, I'm sure the aluminum is still way plenty strong enough. Other than the 20 pounds or so of extra weight (much like me, but let's not go there...) I'm not sure there's any downside to the cast iron case other than a little extra heft to lift into place. Keep us posted on your build! No, I didn't get the Anniversary Edition. As much as I would have liked, the budget just wouldn't allow it. If all goes well with this build (as it should), I'll be eyeing a 25th Edition. I had already been picking up parts for the build when FF started the 20 days of specials. Saved a bunch on the 50/50 deals. Glad I waited for the new IRS, but now I have and older version Aluminum IRS I'll need to sell. I did the same as you and picked up the kit at FF. Made a road trip of it with my 18Yr. old son and 21Yr. old daughter. I'm still doing inventory on my kit. I have a bunch of work to do on the garage to prep it for the build. I'll post some pics as soon as there is progress. Fantastic build thread. And, it's very timely for me as I am anxiuously awaiting delivery of my Anniversary addition (and first build) this coming week. For a few years now, I've thought of building the Cobra. I have followed the forums and recently committed to diving in by starting with the build school a few months back. I have reached out to a few individuals and think I now have most of my ducks in a row. And, now with your build thread...I'm ready to go. 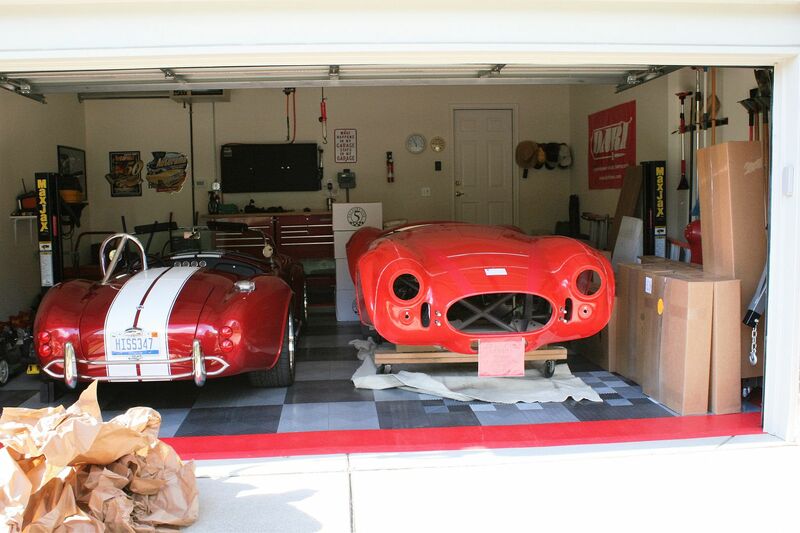 And, I had a garage to finish to "make things happen". Keep us updated on your progress. It's much appreciated. It's been an eventful week wrapping up several smaller details that I had started. I've received two boxes of backordered/missing parts, with two more due here tomorrow. This list is getting shorter, but I'm still missing the upper and lower IRS control arms and the CV axles. So I'm unable to make much progress with the highly anticipated new IRS. But then I decided why not install the center section in the frame? Now that would be progress. The good news is that it's installed and looking good. But it was somewhat challenging. I'll describe more, but first some smaller stuff. I cleaned and painted the pedal box mounts, assembled them to the Wilwood pedal box, and checked the fit in the DS footbox. As mentioned in my last update, immediately noted that the clutch arm interference with the 3/4 inch chassis tube that crosses in that area remains an issue. This subject has been discussed and debated at length, including the background, various options to fix, etc. I'm not going to repeat all that here. Multiple threads on the topics. I decided to do the same frame mod that was done on #7750, which is similar to the frame mod Whitby does for their power brake kit. Cut out the interference, then make a plug for each end of the opening, and bridge with another bolted on piece. 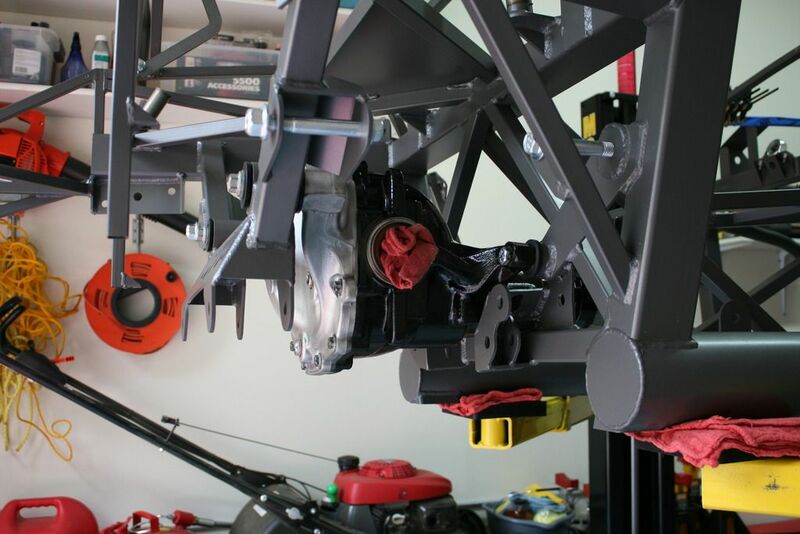 This approach has also been done by others, and IMO works very well and easily is as strong as the unmodified frame. I used an air saw to remove the roughly two inch section where the interference occurs. Then used some 5/8 inch square mild steel to make the plugs, and some 3/4 inch square mild steel to make the bridge piece. Aluminum would probably be just fine, but I was duplicating what worked well before. Here are the final pieces ready to install alongside the piece that was removed. I made the plugs as long as they could be to still fit into the opening and push into the ends. The front piece had to be trimmed a bit to clear some weld that penetrated the tube in that area. I sprayed some paint on the parts that showed. After a couple attempts, found some rattle can paint that matches the 20th Anniversary powder coat reasonably well: Rust-Oleum High Performance Wheel Paint, color 248930 GRAPHITE. It was in the automotive section of our local HD. The piece here doesn't show once the build is done, but still didn't want to leave it bare and wanted to find something that matched pretty close in case I needed it elsewhere during the build. Here are the parts installed. I buttered the plugs with JB Weld before pushing in and bolting it up. Rock solid. Just to give an idea of the interference, tried to get a couple pictures. Not too easy to show very well because of the angles. 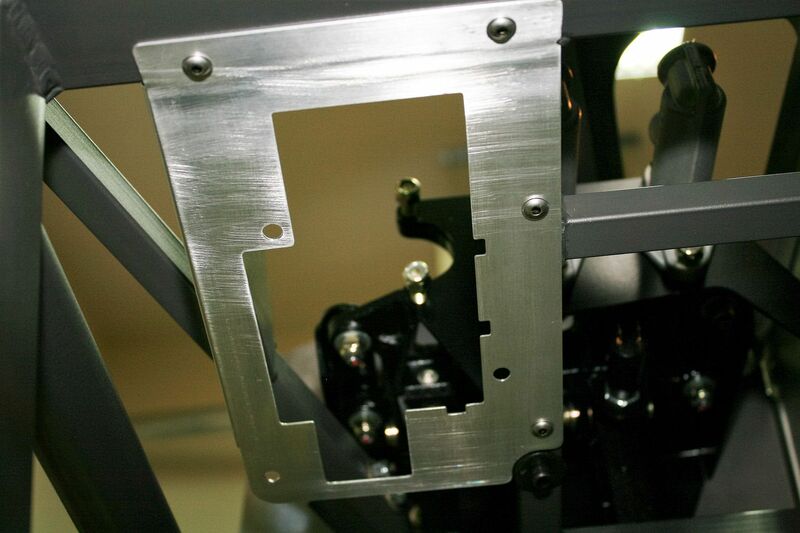 This is the clutch pedal all the way to the back wall, from the side and the top. I found that if I want the clutch pedal to be even with the brake pedal (important to me) and use the standard Forte hydraulic setup, this is the amount of travel that it needs. Maybe it's just my memory (very possible) but this actually seems like more interference than my previous Mk4. Some guys have decided to notch the clutch arm to clear. Not my choice (again not debating here) and especially since it would go nearly halfway through the arm in this case. Not sure if something has changed or not. Whatever, problem solved for this build. So, moving on, installed the master cylinders on the pedal box. FF now supplies 3/4 inch for the front, and 5/8 inch for the back. Doesn't say which side to put them on. I don't think it matters though, as long as it's plumbed properly. I chose the front toward the center of the car. I was a little interested that this is the first time I've seen these MC's without Wilwood cast into the side. Something generic, not Wilwood? Or did Wilwood just change them? Oh well. 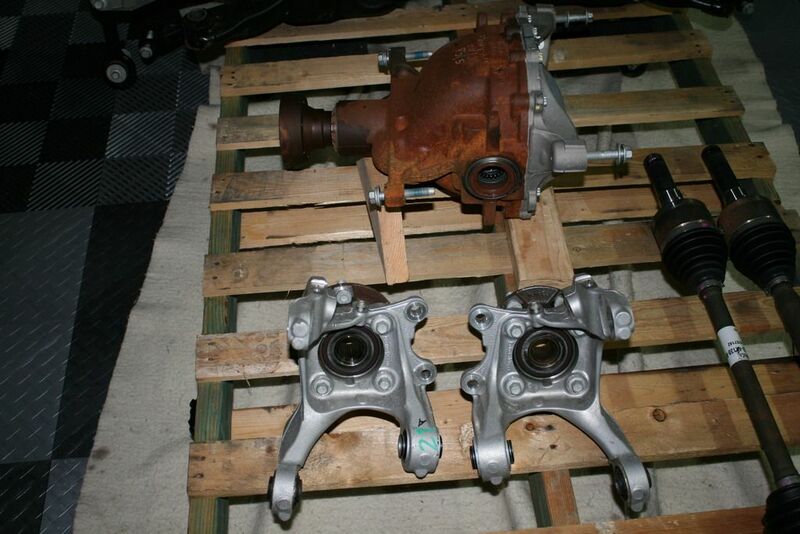 As mentioned, I'm going to be installing a hydraulic clutch setup, which I don't have yet. So nothing installed on the clutch side yet. One small detail on the bottom of the footbox. FF provides a small bracket and a switch for the brake lights, which I installed per the instructions. The Ron Francis harness also includes a clutch interlock, meaning the clutch pedal needs to be down for the engine to start. 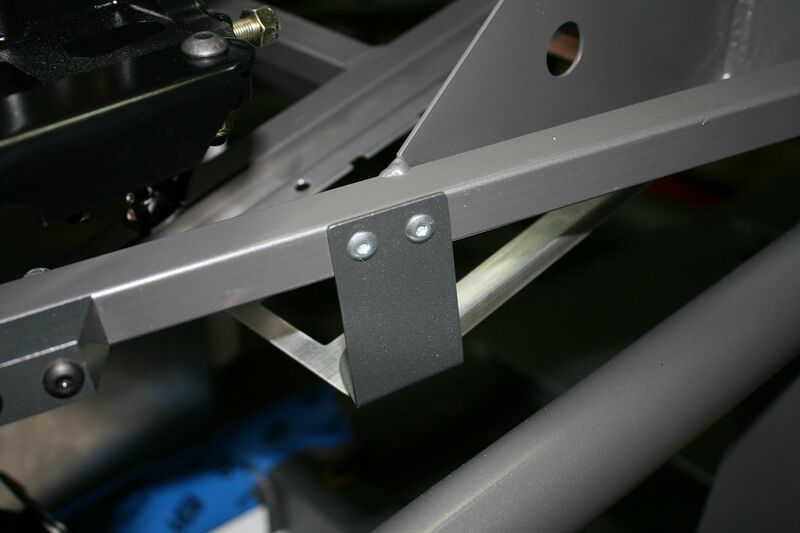 I want this feature, so like on my last build, made a clone of the provided FF bracket from 1/8 inch steel and bolted it in the proper position on the clutch side. I don't have the switch yet. Not the best picture (sorry for the focus) but you get the idea. Upon further review, seems there might be something in the Coyote setup and wiring to also provide the no start function. We'll see if this gets used. Last edited by edwardb; 09-20-2015 at 06:59 AM. Ok, so finally to the center section installation. The Factory Five instructions show this installation needing a friend. Well, I have friends (really!) but most not available during my leisure retirement hours or in the immediate area. I'm mainly a solo act. So in this case my friend was the trusty shop crane. Obviously this is the only time this method would be usable. 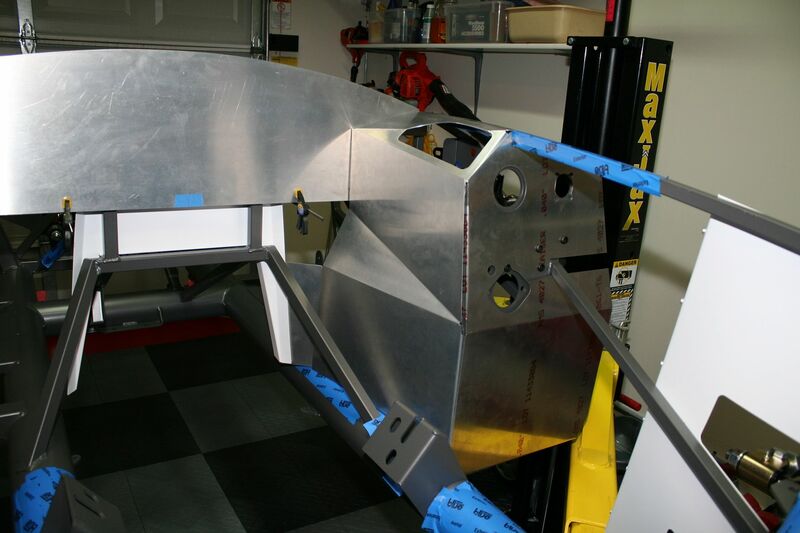 Once all the sheet metal is in place, it's would be all hands on deck working from the bottom. You have to tip it a lot to get it into place, so at first I messed around a bit with my engine leveler. That was overkill, and I ended up just using the same ratcheting pulleys I use to raise and lower the body adjusting each as I went. At 90+ pounds this thing gets your attention, but it's manageable. The pictures pretty much tell the story. Last edited by edwardb; 08-28-2015 at 08:16 PM. So it's all in and looks great. But here, as they say, is the rest of the story. 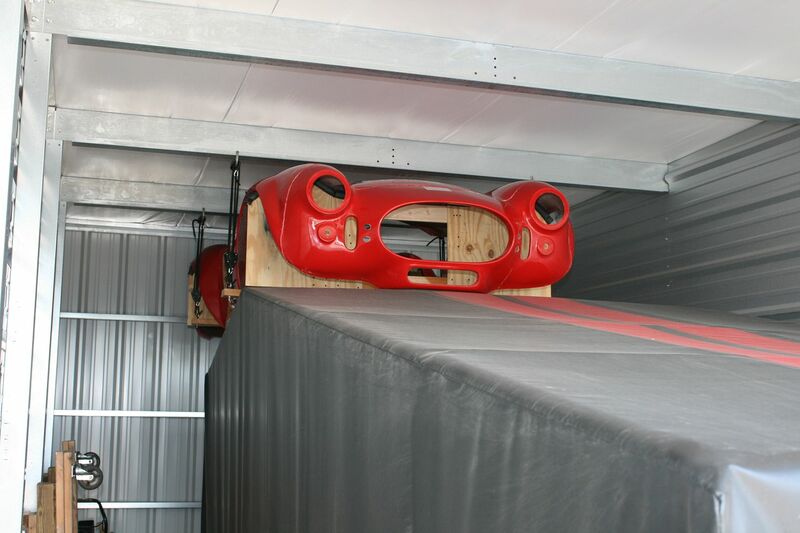 First, it's a TIGHT FIT. Once the center section is finally in the right position over the frame rail, it takes some serious persuasion to get it lined up. Due to the angles of the mountings, I found it necessary to get above the attachment points, and push it down from above. First align the rear bolts since they're threaded into the rear cover. Once they're started in, leave them loose and go to the front bolts. Here's where I hit the wall. Because it's so tight, it's nearly impossible to move a little at a time. Plus it seemed a little off center. I was using a 2x4 and a dead blow hammer, and then moved up to a small 4-lb sledge. Thought about the next sized sledge I could get my hands on, but time to stop beating on this thing. 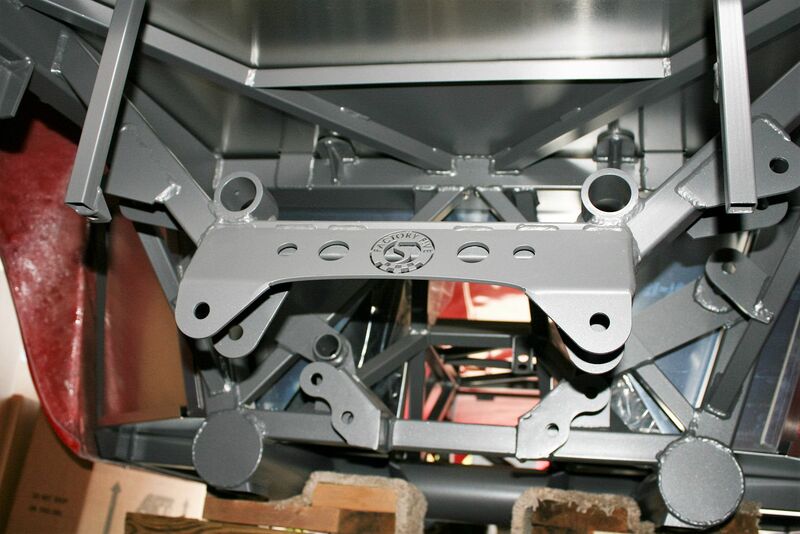 A 5/8 inch bolt goes through the two center section front mounts, and into bushed sleeves in the chassis. The alignment has to be perfect or the bolts either won't go in or just start pushing the sleeves out. After a while and increased frustration, I decided it was time to stop and think about this. Sometimes that's the best option. I put some assembly lube on them, and guess what? Relatively light taps from side to side and both went all the way home with the center section all lined up. Perfect! I couldn't have imagined it would be that easy. Lightly snugged the rear bolts for now, and I'll switch the tapered pins out for the real bolts when they arrive. So, center section in, and I have to say it looks good there. Can't wait for the rest of the parts to finish it up. We're off next week for nine days visiting family on the left coast. So, no progress or updates for a bit. Hope to get some of the key parts by the time we're back. Last edited by edwardb; 12-06-2015 at 09:15 AM. Also, did you reinstall the body shell to check alignment of couplers to body holes? Reason I ask is there appears to be traces of red on the coupler ends. I kinda doubt you went to all the trouble of reinstalling the shell but I'm curious what could have left a red trace in some areas of the coupler end. NICE work on your solo install of the center section. I have been developing a strategy for my solo install too. 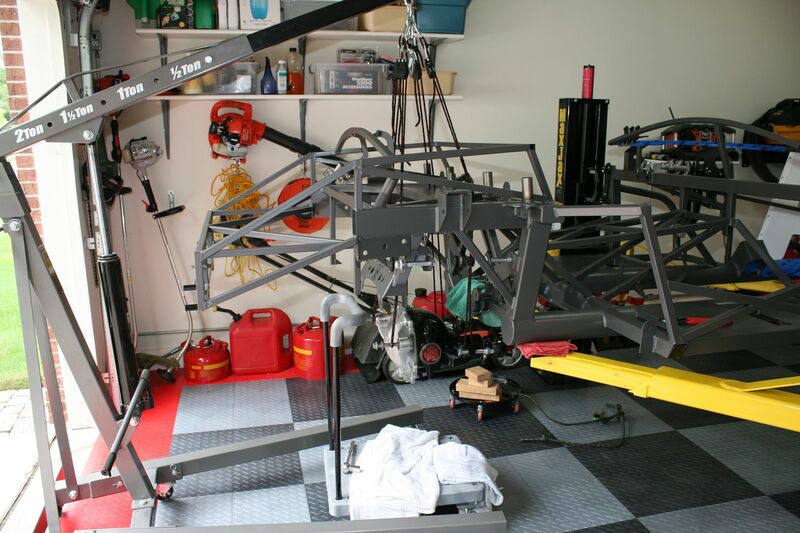 I do not have a shop hoist so I will probably use my John Deere (6000 series). A bit over-kill but when you are working alone sometimes one needs all the muscle they can find! 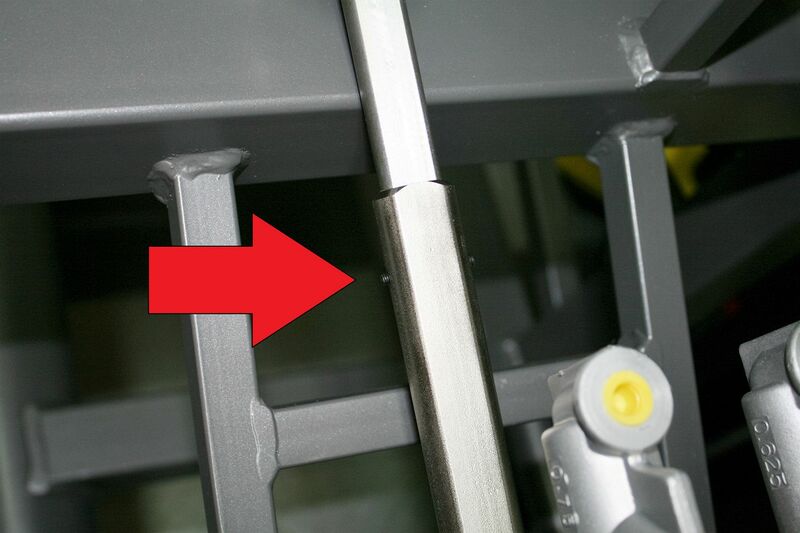 Great improvisation on the alignment pins as well. I can tell you are a guy who takes on a challenge with creativity and lots of ceiling study at night. EdwardP- I too have an affinity now for POR15. The challenge I face is preserving the expensive POR 15 from one painting session till the next. I have used plastic wrap to help reseal the open container, used cheap chip brushes which I discard afer each use etc. but after following your build thread and seeing howmany items you coat with the stuff I was wondering what your method is for maintaining a fresh (unskinned surface) POR product? Its great stuff but difficult to keep fresh. What is the white material visible inside the coupler? Looks a bit like white Grease... Also, did you reinstall the body shell to check alignment of couplers to body holes? Reason I ask is there appears to be traces of red on the coupler ends. I kinda doubt you went to all the trouble of reinstalling the shell but I'm curious what could have left a red trace in some areas of the coupler end. Nothing going on with the couplers. Just plain threads inside and no red on the outside. Probably just reflections or from the flash. I use an external flash for fill on most shots. No, I didn't install the body shell. 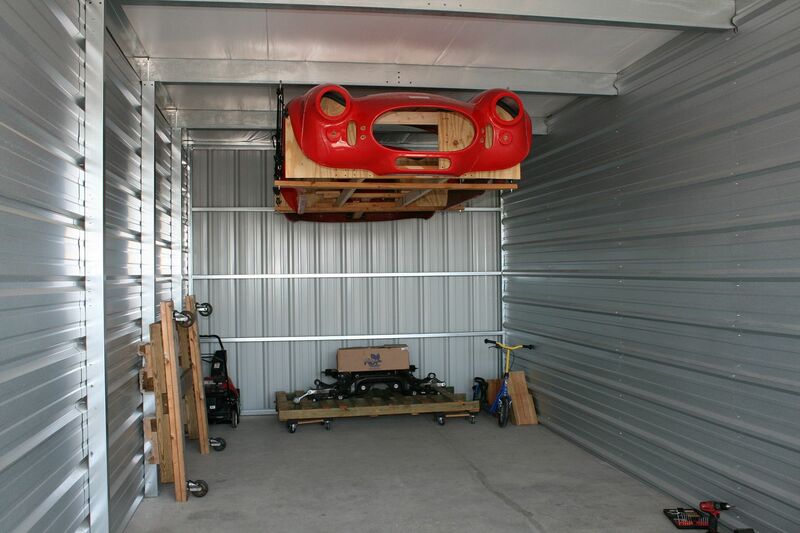 It's still comfortably hanging over at the storage unit. I did confirm the measurements though. The holes are exactly 31 inches apart horizontally, and 2-1/4 inches apart vertically. I mounted the couplers with the same spacing. I didn't pay attention to this on the last build, and had to enlarge the holes in the body quite a bit during final assembly. Not a big deal, but just trying to avoid this time around. The challenge I face is preserving the expensive POR 15 from one painting session till the next. I have used plastic wrap to help reseal the open container, used cheap chip brushes which I discard afer each use etc. but after following your build thread and seeing how many items you coat with the stuff I was wondering what your method is for maintaining a fresh (unskinned surface) POR product? Its great stuff but difficult to keep fresh. I'm still working out of the same pint can of gloss black POR15 I bought to touch up the DART block on my last build. Probably about two years ago, at least? I guess I've been lucky. I make sure the can seal is as clean as possible, lid on tight, then wrap in a plastic bag with a rubber band. Nothing really special. It stays in my pretty cool basement most of the time. Maybe that helps too. Last edited by edwardb; 08-29-2015 at 07:46 PM. While I have the "old" IRS ... the level of pain in getting the differential into place sounds like it has not improved. 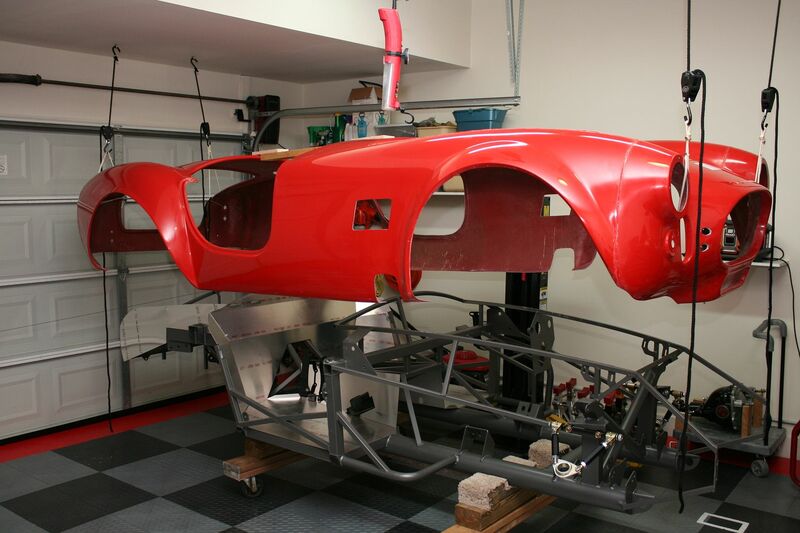 I dread the day I would have to get it out now that the car is almost finished. 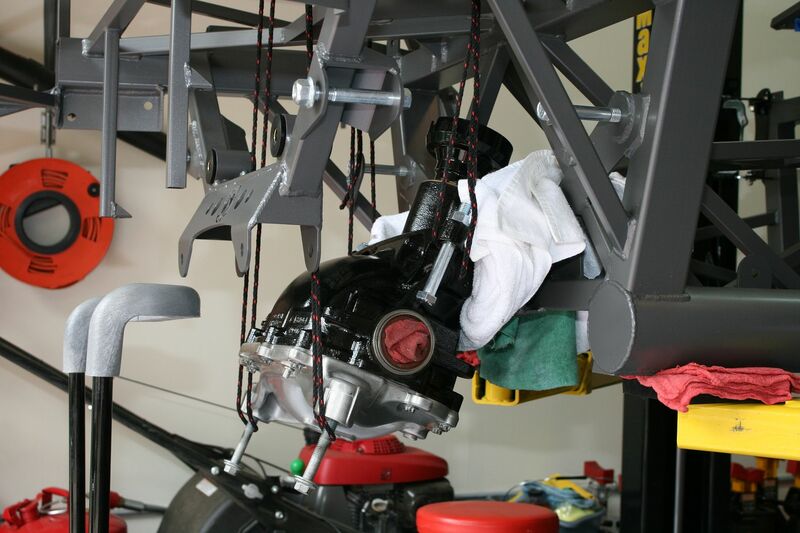 Did you have to do any trimming of the diff or other parts to get it into place? No, only mods were per the instructions. The center section is completely stock with the exception of drilling out the front mounts for the 5/8 inch mounting bolts. The knuckles have the one arm trimmed shorter, as posted, plus one hole drilled out. Edwardb; Mounting of master cylinders . Finally received my Fortes hydroboost and started to install. I see you installed your master cylinders. I thought you where using a Fortes hydroboost. 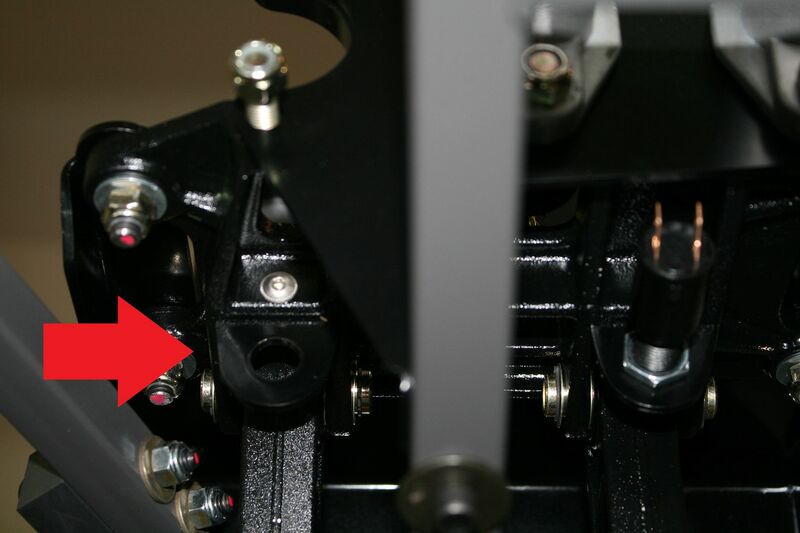 The unit I received does not have the brake peddel riser to attach to the push rods of the two cylinders. Do I have the wrong peddel. 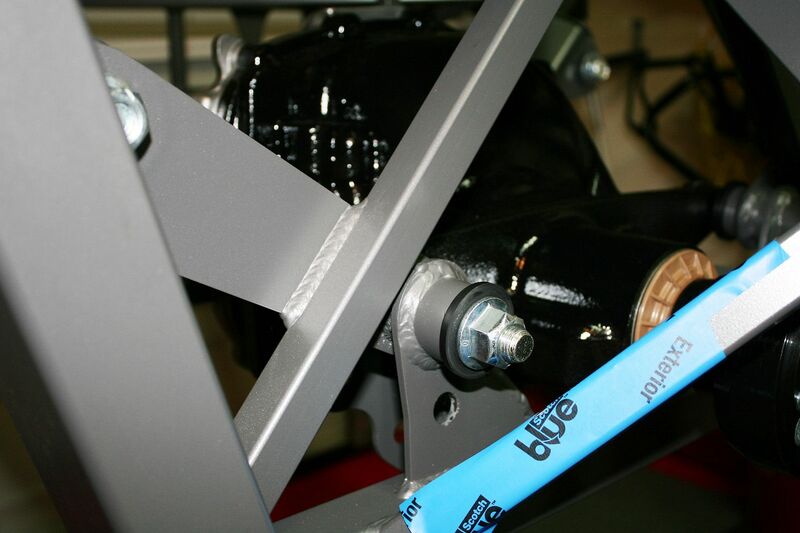 I thought the brake cylinders on the Forte unit where already mounted on the front of the hydroboost. No, I'm not using hydroboost on this build. It will be the stock two MC Wilwood manual setup that I pictured. 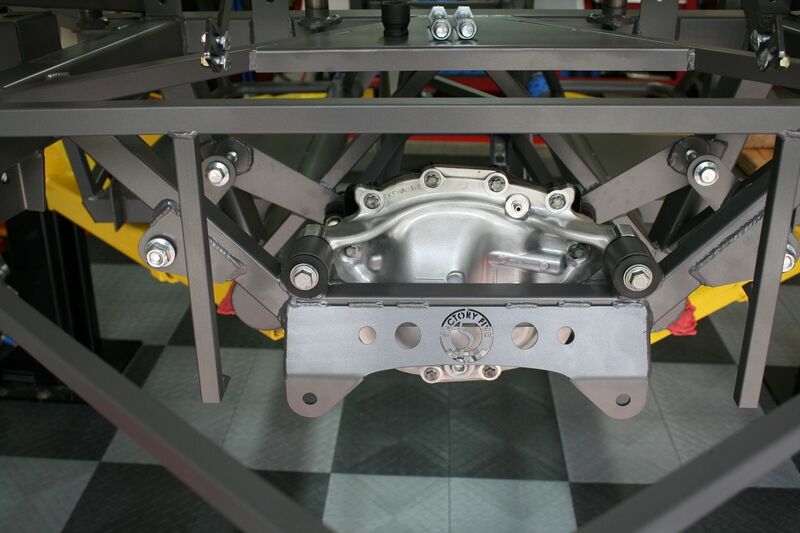 I did use the Forte hydroboost setup on a Wilwood pedal box on my last build, so quite familiar with the configuration. 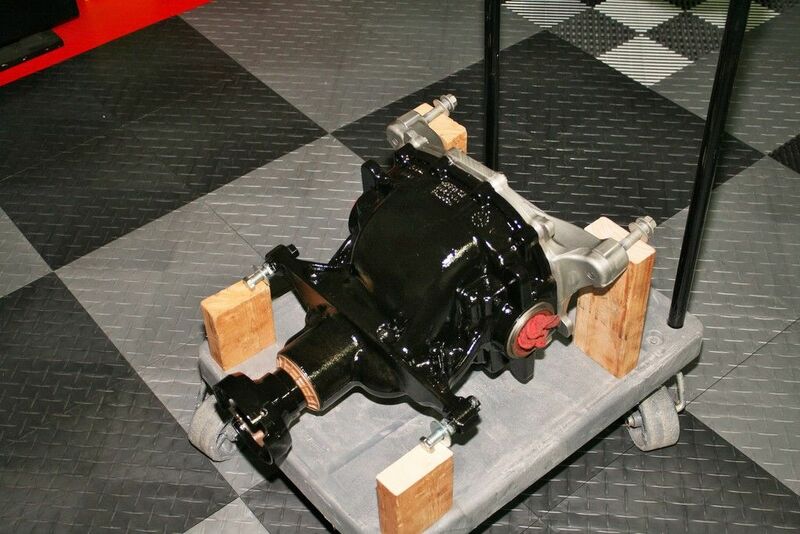 For that build, I also received the Wilwood pedal box from Forte, who did the modification to fit the hydroboost. It doesn't use the standard two MC mounting locations or existing pushrod or balance bar. 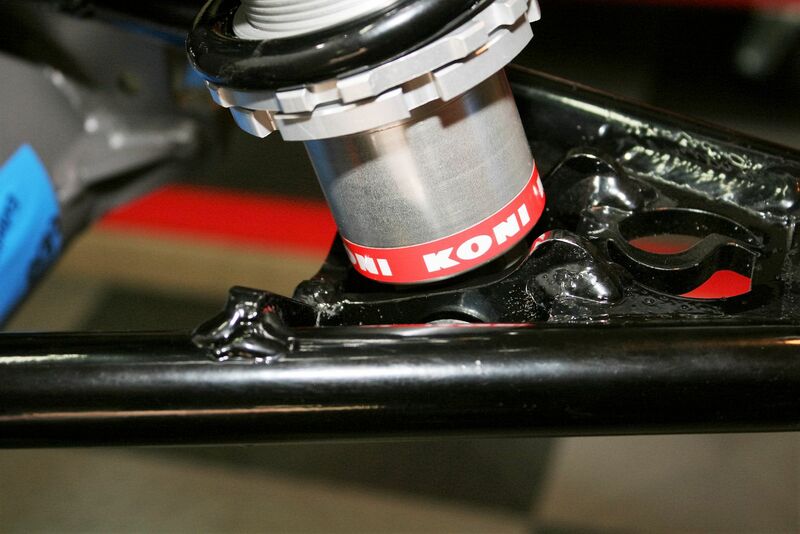 Forte adds a new pushrod below the pedal pivot point to actuate the hydroboost/MC. Completely different than what's pictured here. Last edited by edwardb; 08-30-2015 at 03:49 PM. We’ve been back from our Oregon family visit for a little over a week now, and back on the build. 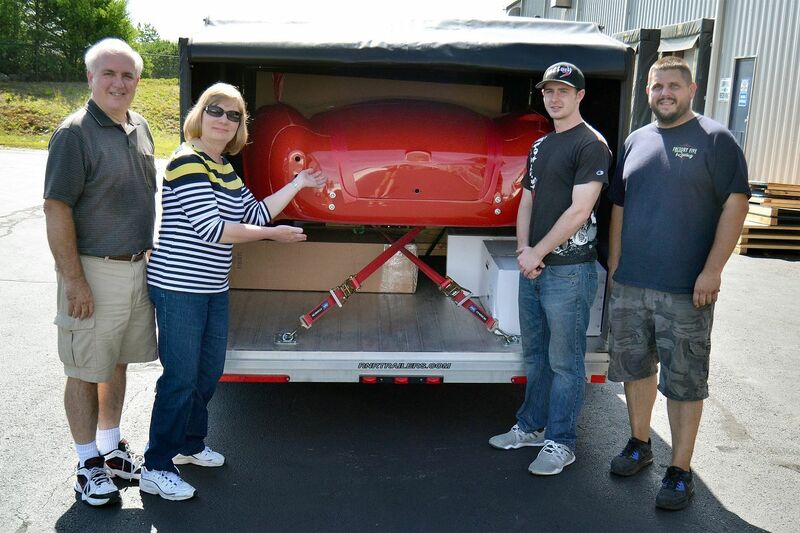 While we were gone, several packages of parts arrived. Really happy to receive the spindles, which are now installed. Also received the driveshaft, even though I won’t need it for a long time. Also received a box of a number of smaller items. So the good news, I’m down to 8 backorder/missing parts. 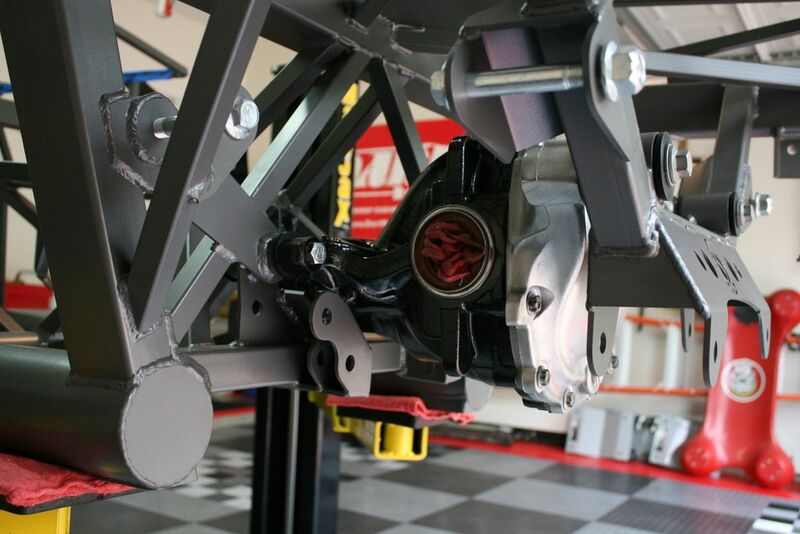 The bad news is that this includes the rear UCA’s, LCA’s, CV axles, and Wilwood brakes. So I’m not able to make any progress with the rear suspension, or install the brakes. Kits after mine are being delivered with some of these parts. Grrr… Back on the phone Monday. Used some of the time off to finalize some of the build plans, and order some more stuff. In other words, spend money… Decided to go ahead with GAS-N SS sidepipes. Even though the kit came with FF SS sidepipes, I’ve used the GAS-N’s on my previous builds, and love the looks, sound and overall quality. Got hold of Georgie and they’re already here. Works of art. 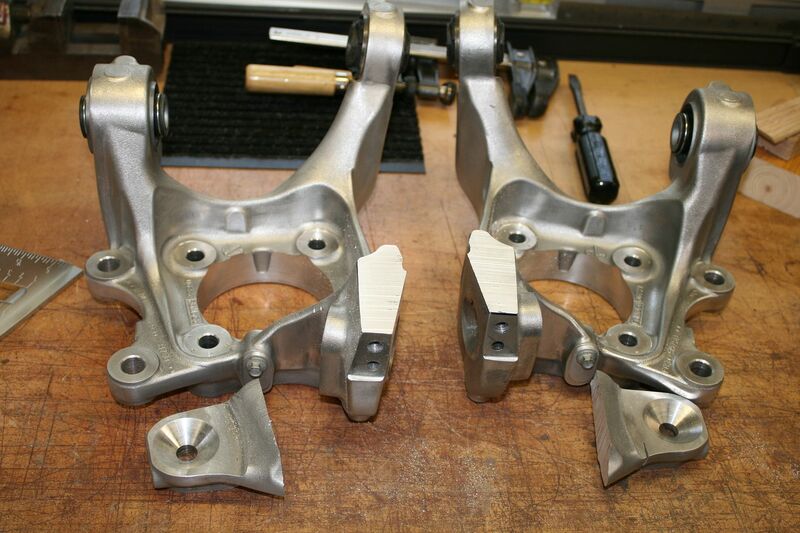 Also going with the custom SS stainless headers. Called GP Headers (not Stainless Headers any more) and should have the Coyote double collector pipes in a few weeks. No hurry. Ordered and received an in-tank fuel pump from Breeze. Ordered and received a turn signal assembly from Russ Thompson along with my machined steering wheel hub. Found Russ also offers a trunk expansion box. I was going to make my own, but decided to get the one from Russ. Like all his stuff, it’s first class. Thanks to another forum member who contacted me, I also received a box of King DS Coyote mod panels and firewall that he decided not to use. Huge thanks. These forums are an amazing resource. I was considering making them myself. Now that I see them, would have been challenging. So for some build updates, first thing was to get the newly received spindles installed. Everything went fine. The ball joint tapers pulled in and tightened without drama. I used the FF spacer for the lower ball joint, and needed a hardened washer for the Howe upper ball joints. The hubs slipped on with no sanding or large hammers. Nice smooth fit. Torqued the spindles nuts to 250 ft-lbs, which I’ve now decided is my personal limit. Ouch. As you can see from the pics, I pried off the tone rings. I have no plans for ABS, plus I think they’re kind of ugly. Then I put some POR15 on the back side of the hubs. Can’t help myself. I did a SWAG on the UCA for camber and caster, and then used a magnetic laser level to get the toe in the ballpark. I mainly wanted to do a sanity check on the length of the inner tie rods. I have about 1 inch of threads left on both sides of the threaded section on the tie rod ends. So there will be no cutting required. This the second time I’ve used this combination of Breeze PS rack and Moog tie rod ends. Perfect. Yes I know the cotter key isn’t installed in the castle nut yet. Later. 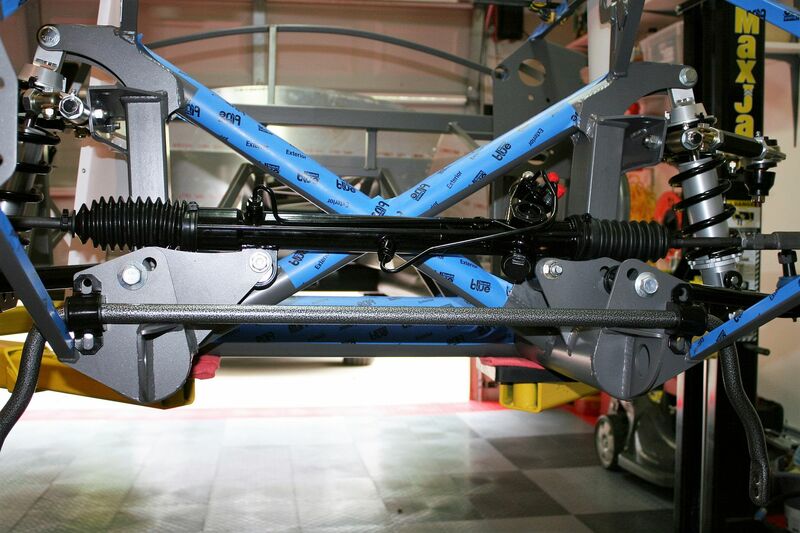 The final item to wrap up the front suspension was the sway bar. I posted pictures of the front frame mounts before. 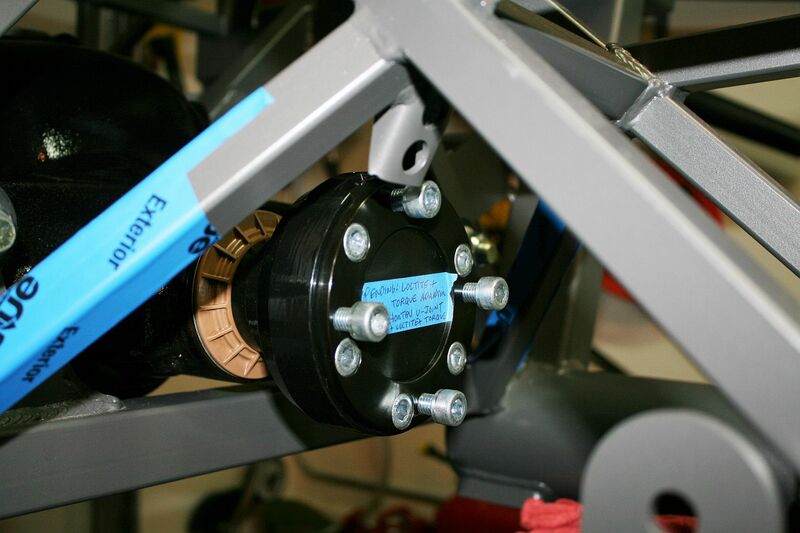 Once the sway bar is bolted on up front, it’s attached to the underside of the LCA’s using a longer bolt on the lower shock mount, two rod ends, a bolt and spacer. The instructions show cutting all but 1/2 inch of threads from the male and female rod ends. Those things are HARD! But it’s done and turned out well. The instructions didn’t say so, but I put red Loctite on the rod ends before putting them together. I don’t have instructions yet for the rear sway bar, but the parts provided are all almost exactly the same, so I’m expecting a similar setup. I decided to cut the hole in the Breeze shroud and get that part ready for powder coat. 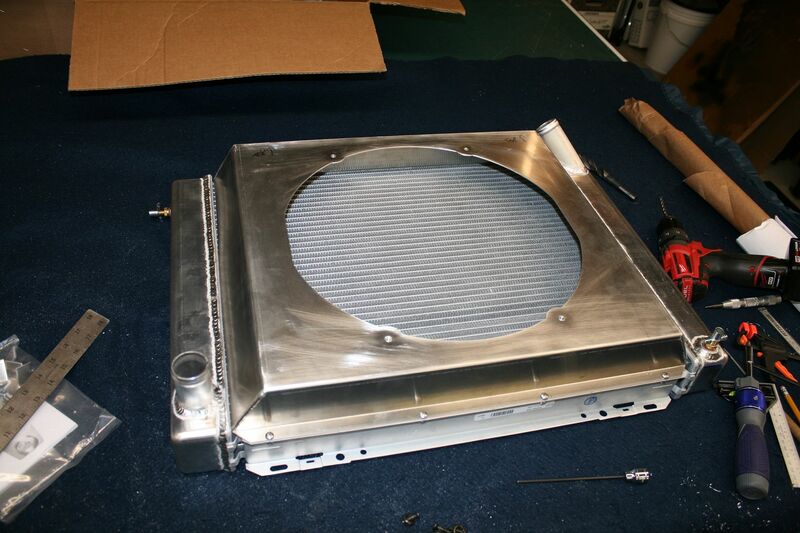 The hole follows the inner outline of the FF supplied cooling fan. I put 10-32 nutserts in the mounting hole locations, which makes it real easy to install the fan and remove if necessary for service. Last edited by edwardb; 09-19-2015 at 10:18 PM. 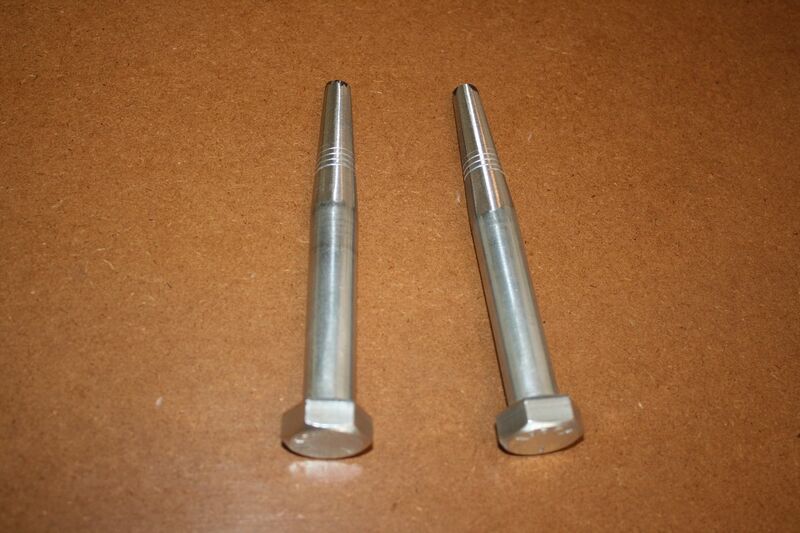 Other parts recently received were the final mounting bolts for the 2015 Mustang center section. I showed previously installing it. But the rear bolts were the original Ford bolts off my IRS pallet, and the front just had tapered pins I used to locate it. I suspected it would be challenging to get the four bolts all in and finally torqued. And it was. This thing is TIGHT. I dread the day it would have to come out. As I mentioned before, I would recommend drilling the 5/8 inch holes in the center section front mounting bosses slightly oversize. I think that would help a lot. With these size bolts at 100 ft-lbs, this thing isn’t going anywhere. I mentioned the King modified DS and firewall panels. I started mocking them up a bit. Looks like they’re going to work out fine. 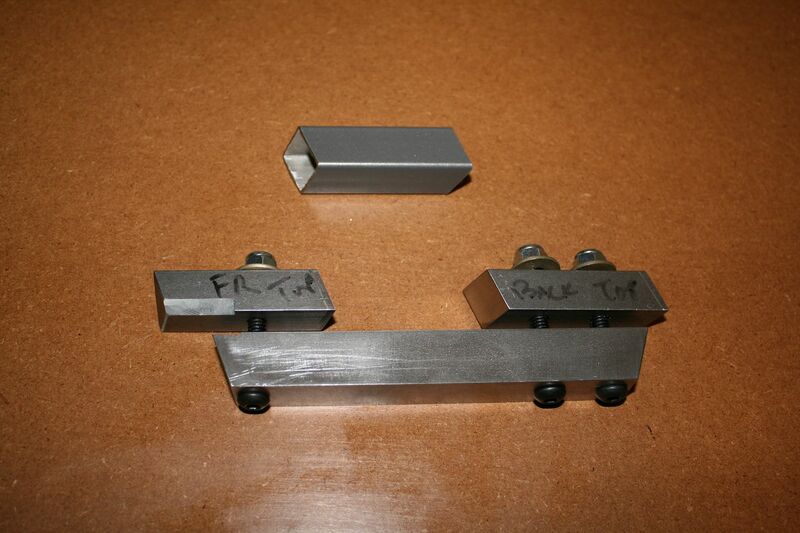 I’m getting a blank FFMetals DS footbox front and will replace the one pictured here. I’m not going to finalize any of these panels until I have the Coyote on hand, but looks very promising right now. Should have the necessary room up top, and still plenty of room for my feet. 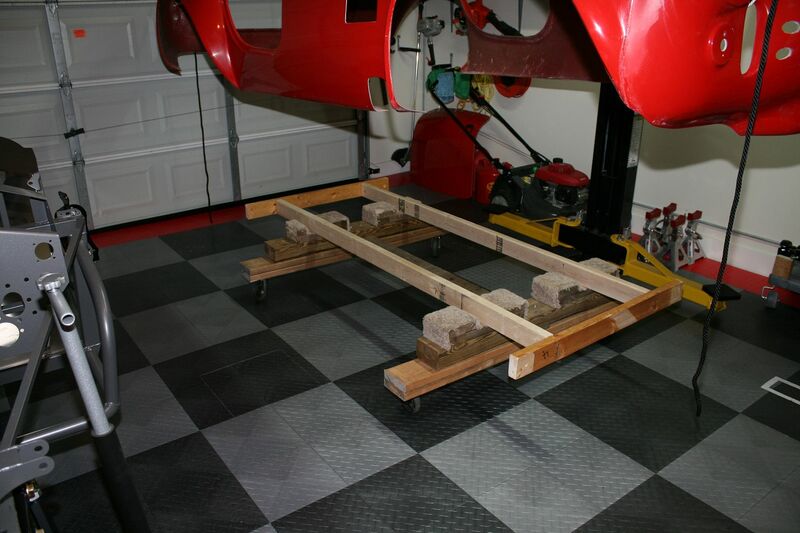 This is probably not the exact final position, but looks like I will have similar feet space as my current small block Mk4. Perfect. I will likely also do the King PS footbox expansion. Those pieces are a bit simpler, and similar to the ones I did for my current Mk4. Looks like I'm going to have several panels to get white powder coated like the ones from FF. Finally, I also prepped the Ron Francis fuse panel piece. First confirmed that it fit the provided fuse box OK. It was a little too tight, so adjusted a bit. Then put some holes on the edges and installed some 10-32 nutserts in the frame to mount it. There are a couple welds that needed to be flattened to get it to sit better. 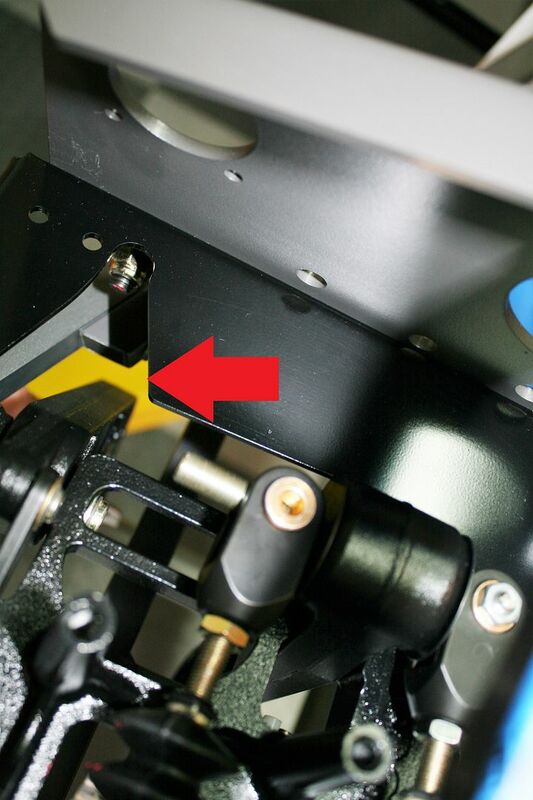 Plus notice how it needs the corner trimmed to clear the mounting washer/bolt for the Wilwood pedal box. I don’t like how the front outside corner of the fuse panel is just hanging in space, so similar to my last build, made a little bracket to anchor that corner. 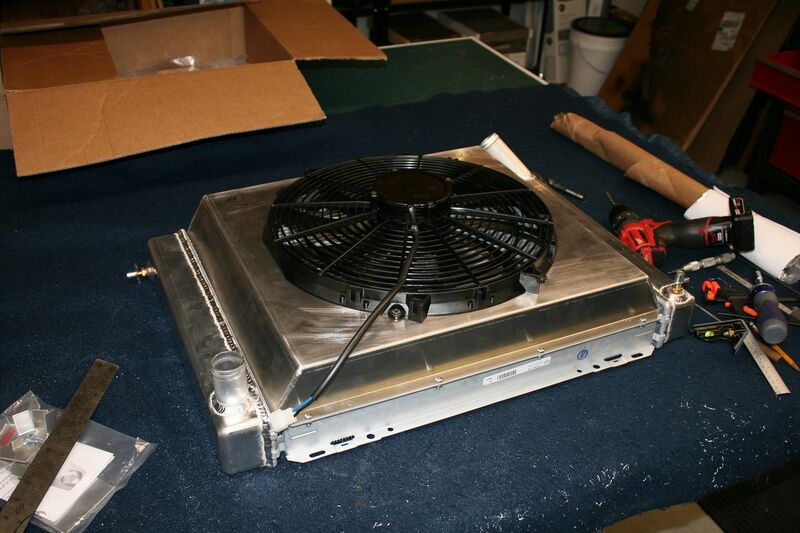 Since I’m using a shroud, the provided mild steel fan mounting brackets aren’t used. Those are great for fabbing little pieces like this. It also has a nutsert in it, and is riveted to the frame with a couple 3/16 inch rivets. It’s way overkill and much stronger than it needs to be. But does exactly what I want. Last edited by edwardb; 09-19-2015 at 10:47 PM. Just a few questions. You occasionally mention following "instructions" while assembling or installing components. 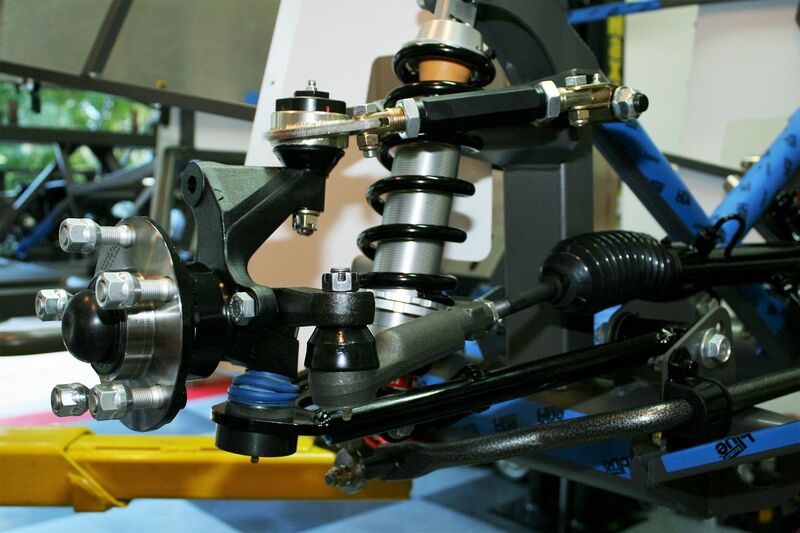 For example, being required to remove threads from male and female rod ends for installation of the front sway bar. I didn't find these particular instructions with my paperwork. Also, I didn't receive instructions for the IRS installation. I called FFR and they immediately emailed the IRS instructions to me. I'm getting the feeling that there are several instruction packs, particularly for the new items, that I may be missing. I can assemble quite a few items using common sense, but sometimes I feel I'm working in the dark. Wondering whether others are experiencing what I am? The big thick assembly manual that comes with the kit is useful, and I can tell you it's way better than the Mk3 manual from my first build. Night and day. But it's still missing a lot of detail, especially for first time builders. Plus it isn't always up-to-date with running changes. The release of the new IRS isn't in the manual, and they just recently released the instructions as a separate document. When I picked up my kit in early August, they were just being written. 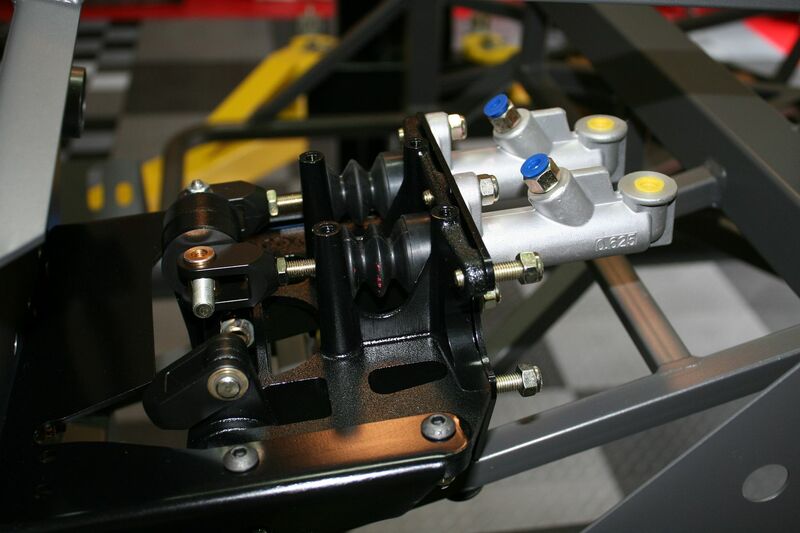 The front sway bar setup also has a separate instructions document. Ask for it. Or if you PM me your email address, I can send it to you. I haven't seen one for the rear sway bar setup yet. As cool as the 20th Anniversary Mk4 is, it's kind of on the bleeding edge in several areas. So I think we're going to need to be patient. The two forums are also huge resources. Even after three builds, I'm routinely searching with questions or looking for ideas or details. If all else fails, ask. That's what these forums are for, and lots of us are willing to help. Don't feel like you have to work in the dark. Last edited by edwardb; 09-21-2015 at 06:19 AM.